Stylish Freestanding Patio Home by Award Winning OnPoint Custom Homes! 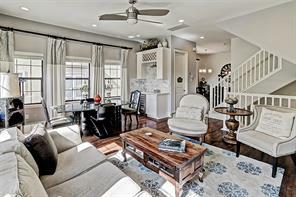 This open concept 2nd floor living plan offers easy living and is perfect for entertaining. The spacious living room looks out to the large covered terrace with fireplace. Chef's kitchen boasts custom built in cabinets, Silestone Quartz counter tops, sleek tile selection and stainless appliances. 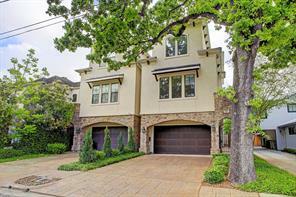 Light filled Master suite offers hardwood floors, luxurious master bath & large walk-in closet. Live Beautifully! 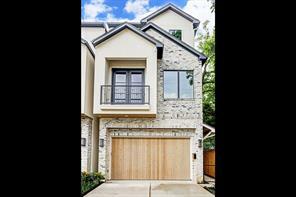 Stunning recent construction (2014) with 4 bedrooms/3.5 baths. 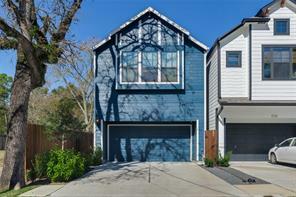 Rare for Rice Military, this home offers a long private driveway and spacious fenced backyard. Inviting foyer with access to handsome study and large bedroom/gameroom with full ensuite bath. Light & bright second floor living with several large windows and cozy fireplace with flanking built-ins. Beautiful Kitchen with Carrera marble countertops, stainless appliances and breakfast room. Large Master Suite is located on second floor with huge master closet and a must-see shower in the gorgeous master bath. Third floor offers another spacious bedroom with two closets plus an additional bedroom with bonus room and walk in attic space. Private backyard with green space and covered patio. Luxury finishes include hardwood floors, Carrera marble countertops, travertine tile floors in foyer & secondary baths, wet bar with wine cooler and much more! 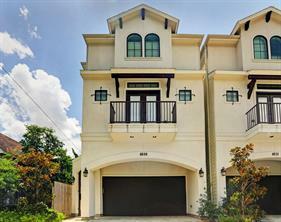 Beautiful freestanding townhome in Rice Military within walking distance to the Buffalo Bayou Trail and Washington Ave! 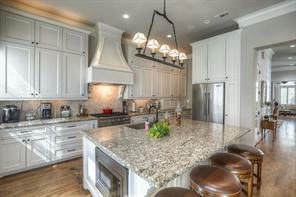 Gorgeous island kitchen with granite countertops, breakfast bar, stainless appliances. Kitchen opens to a spacious living room which features high ceilings and gas log fireplace. Large master suite. Master bath with marble countertops, double sinks, jetted tub and separate shower. Two balconies off the second floor. Generously sized secondary bedrooms with en suite bathrooms. Gleaming hardwood floors throughout living areas! No maintenance fees! Rice Military modern contemporary. If minimalist design is your preference, this stunner from award winners Scott Strasser and Eric Ragni will suit your taste. Property offers intelligent options including commercial and residential uses. Sleek wood floors, thirteen foot ceilings and abundant natural light on second floor through a wall of windows. Modern kitchen with granite counters, stainless appliances, and gas cook top. Private floor plan with one bedroom down and full bath. Master suite encompasses entire third floor. Two car garage and additional parking on driveway. An Oasis in the Middle of the City. 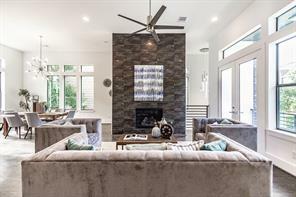 Step into this stunning Multi-Award Winning contemporary home located on high banks of Buffalo Bayou and you immediately have the tranquility of being in a treed forest setting of solitude and privacy while the city "hustle and bustle" is a mere block away. Conceived and built over a 2 year+ time frame with a 1995 completion date, this custom home sits on 16,555 square foot+* lot. This large plot of land may be sub-dividable. *Per HCAD. Known as the Butter-Fly roof house, this home offers 3 story living for outstanding views and privacy with 3 bedrooms, 2.5 baths, 2 car garage, wine room and screened terrace. Custom commercial windows and doors, 3 hvac systems, wall of cabinetry storage, recently refinished wide plank white oak floors and 26 foot high ceilings in main living areas. Freshly painted interiors. 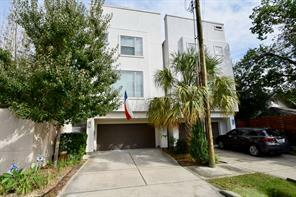 Near restaurants, Memorial Park and easy access to Downtown, Medical Center, Galleria and Uptown Park & more. No flooding. Amazing custom home in 24 hour guard gated community of Caceres! This stunning 4/4.5 home with elevator has two master suites both with sizable closets and separate baths. A complete apartment with bedroom, living room and mini kitchen is located on first floor! This home will take your breath away with it's dramatic two story dining room which is open to the third level and adjacent to the grand entryway with spiral staircase and gorgeous stained glass windows! The outdoor living space is just as special with a beautiful wall of water fountain, fire pits and patio as well as a fourth floor screened in porch. The level of detail and finish is incredible in this home! Come and see what set's it apart from the others! Float at treetops above Buffalo Bayou and unobstructed, panoramic big-sky vista of Downtown/MedCenter/Bayou/Greenway from all windows and two quiet picturesque balconies. 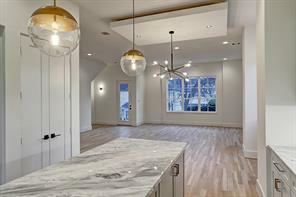 Herringbone floors, granite inserts, art lighting, secret closets/storage, endless built-ins, millwork/molding in cherry and exotic woods, massive granite door casements, double thick counters of Moroccan Ammonite, Italian marble and Brazilian granite with custom steel touches. Italian silk blackouts over French lace creating a cocoon-like atmosphere. Private eat-in Siematic gourmet kitchen, Gaggennau and Sub-Zero appliances. Corian counters. Private balcony and partners office off master. Dual master ensuite bathrooms in white marble and black granite, Jacuzzi tub and showers, each with masterfully planned walk-in closets. City glow and morning sunrise magic herald this perfectly designed jewel box work of art. Minutes from everywhere that matters. Internationally published. Impeccable. You'll never want to leave. 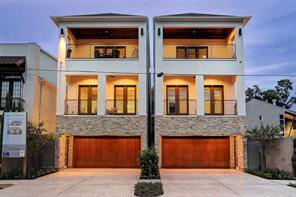 Stunning contemporary 4 story home in Rice Military, designed and built by P3. This 4 bedroom, 3 bath, 2 half bath home offers solid white oak wood floors and open living area on 2nd level. Oversized kitchen has large island with breakfast bar, professional appliances, and wine bar. Multiple balconies including 4th floor roof top covered terrace with views of downtown including bonus room, Kitchenette 4th level built out with 2nd dishwasher and ice maker , 3rd level balcony off master and 2nd level covered balcony off living room. Ultra efficient LED Throughout. First floor game room with wet bar , ice maker and beverage fridge. This is not your every day build including components like half inch 14’ steel cage on front and rear of house integrated waffle slab with 6000 psi concrete. Exterior includes 50 year metal roof and metal siding, concrete accents, Ipe hardwood and frosted metal garage door. Ground floor consist of warehouse finish concrete floors including garage floor. * * * C A C E R E S * * * AMAZING single family home in 24-hour guard gated community close to downtown, Memorial Park, The Galleria, restaurants and medical center. Very spacious; one of the largest homes in the community. Gourmet island kitchen equipped with Viking appliances. Elevator to all floors. 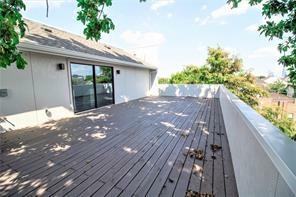 Large 4th floor deck with fabulous downtown view. Theater room equipped with projection TV, 120" screen and large wet bar area. This highly desirable home also includes spacious backyard deck and fenced yard rarely available in this neighborhood. Listing Agent is related to Seller. Located close to downtown, Memorial Park and shops and restaurants, this lock & leave home in the 24 hour guard gated community of Caceres has it all! With wonderful views over the community park and fountain & fantastic design finishes, this impeccably maintained home offers 3/3.5 with an oversize garage, hardwood floors, elevator to all levels, two fireplaces, 48" Viking Range, wine cellar, amazing master suite and inspiring rooftop terrace with views of the city! The home also has a complete home automation system to control sound, security and temperature via an ipad/iphone. 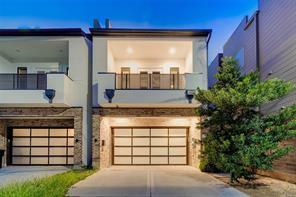 Come & see what sets this home apart from the others - you won't be disappointed! 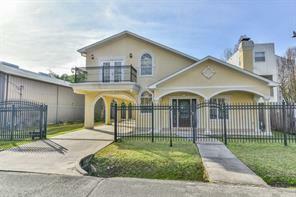 Rare New Orleans style home in the heart of Rice Military! The exterior door opens up to a beautiful courtyard and outdoor entertaining area! This home is beautifully done from the two story wood paneled study to the updated* kitchen with gorgeous marble countertops! The master retreat boasts a vaulted ceiling and a large patio! There are gorgeous hardwoods throughout and the home was designed to have fantastic views of the courtyard from every room. It is definitely a must see! Beautiful large custom house located on a large lot! 6 bedrooms plus game room, media room, formals and much much more! Custom features everywhere! Must see to appreciate! Large master bedroom with its own fireplace! Large custom master bath with special features and custom closets! Extra downstairs bedroom with its own bathroom! This house has it all and has an excellent design! 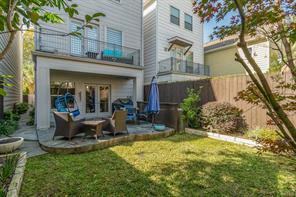 Located close to downtown Houston with great views!! Nice balcony, tile roof, open spaces and much much more! This is a one of a kind house! Great house, great location and a great price! Wine room, butlers pantry, oversized driveway plus 3 car garage. Magnificent villa superbly built with attention to detail & craftsmanship. Living areas on 1st floor. Master retreat on 2nd floor. Optional gameroom/media rm/den w/wet bar overlooking room size covered balcony. 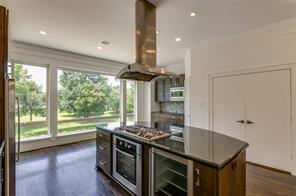 Gorgeous seating island kitchen w/designer stainless appliance package. Beautiful white oak floors in all living areas. Semi-spiral staircase.Private entry gate.Pool size backyard.Amazing street & memorial park area location. Welcome home to this amazing gem in the heart of Rice Military. The immaculate home features 4 bedrooms / 3.5 bathrooms with the highly desired 1st floor living. The open floor plan is complimented by soaring ceilings and solid hardwood floors throughout. The amazing master suite features vaulted ceilings and an enclosed patio overlooking the fabulous backyard. Perfect for entertaining, the home features an oversized game room, outdoor kitchen, and top of the line private pool. Enjoy the outdoors in just a short stroll to Buffalo Bayou and Memorial Park. Conveniently located just minutes from downtown, the Galleria, and the Med Center with easy access to major highways I-10, 610, and 288. Located in the 24 hour guard gated development of Caceres less than a mile from Memorial Park, shops, restaurants and downtown destinations, this 3/3.5 luxury home with elevator offers a fully fenced private yard, with many, many extras including a rooftop terrace with pergola, hot tub, grill, pizza oven and fireplace. Sitting right next to the community pool, this home offers a lock & leave lifestyle, an open floor plan, home automation and audio throughout, open concept kitchen with wine storage, concealed TV cabinet, amazing custom draperies and many other upgrades. This one has it all! Come and see it today! RARE to find single family home in coveted Rice Military w/an oversized 3 car garage & 4 more parking spots behind a secured gate. 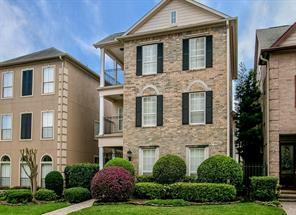 Located close to Memorial Dr. restaurants & the newly expanded park! This home features a spacious open floor plan w/the master suite on the 1st floor, a double sided fireplace, upgraded kitchen with S/S appliances, wine fridge & a private back yard. This home is equipped w/a mosquito system in front & back, in home security camera system + a whole house water filtration system. Additional rooms upstairs can be used for family, guests, a gym or office. Upstairs west wing of the house includes 2nd kitchen & is perfect for a game room, man cave or can easily convert into mother-in-law quarters or sectioned off for an additional tenant. Seller is an avid traveller & businessman gone too often to enjoy this 2nd home. 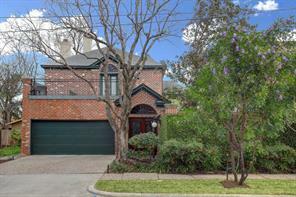 An amazing opportunity to obtain a meticulously maintained home in Rice Military. See photo captions and agent for list of additional features. An unparalleled sought-after contemporary new construction home by Avalon Homes found in an ideal and prime location. A home with exceptional finishes, FIRST FLOOR living, YARD, 4 beds PLUS gameroom, covered rooftop with fireplace AND elevator capable - All found on ideal street with an abundance of additional parking. You’ll find handcrafted cabinets, Thermador appliances, premium 3” plank hardwood flooring found throughout, seamless premium Quartz countertops, soaring ceilings with detailed accents, notable designer lighting package to be installed, and excess of natural light with nearly floor to ceiling windows. Quality & design coupled with ideal layout & location for the utmost lifestyle. You’ll find a MUST HAVE floor plan with an unbeatable contemporary design. Nearing completion! Rear garage alley access and additional front parking to be installed. Beautiful custom home in the heart of Rice Military on a large lot! The exterior door opens up to a beautiful courtyard and outdoor entertaining area! This home is beautifully done from the two story wood paneled study to the updated* kitchen with gorgeous marble countertops! The master retreat boasts a vaulted ceiling and a large patio! There are gorgeous hardwoods throughout and the home was designed to have fantastic views of the courtyard from every room. It is definitely a must see! 1 Block from Kroger and other new retail projects! Great property for townhouses, single family home, office, retail or various other commercial uses. Brand new street (Summer St) & significant infrastructure improvements have taken place all around (Including water and sewer). Court street to be improved by the city in the near future. 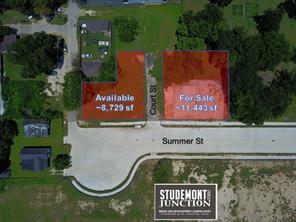 Summer st @ Studemont to be a signalized intersection. Spanish styled free standing Villa is located in the 24 hr Guard Gated Community of Caceres, minutes from Downtown and The Galleria. This home features 3 bedrooms, 4 1/2 baths with a game room which could easily be a 4th bedroom suite. 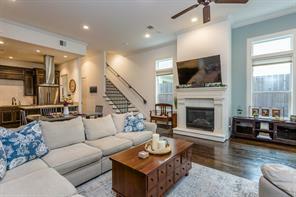 Second floor features an open floor plan with Living, Dining, Kitchen and Den, perfect for entertaining larger parties. Features include elevator to all levels, custom built 1st floor study, travertine staircase with intricate wrought iron railings, Knotty Alder wood doors, oversized kitchen with expansive (12 ft) island, lovely master suite on the third level with fourth level offering a game room/bedroom space plus. spacious rooftop deck with pergola. Seller has accepted an out of state job - an amazing opportunity to obtain a meticulously maintained home in Caceres. 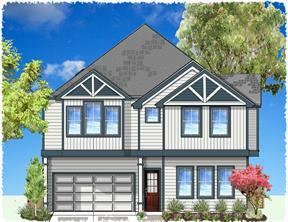 An unparalleled new construction home by Avalon Homes in sought-after location. A home with exceptional finishes, FIRST FLOOR living, YARD, 4 beds PLUS gamerroom, rooftop terrace AND elevator capable - All found on ideal and rare private street with an abundance of additional parking. You’ll find handcrafted cabinets, Thermador appliances, 3” plank hardwood flooring, seamless marble and granite countertops, soaring ceilings with coffered accent, notable Restoration Hardware and Circa lighting package, and excess of natural light. Quality & design coupled with ideal layout & location for the utmost lifestyle. You’ll find two wine bars and stunning master closet for any wardrobe with access to full size laundry room. The master retreat and 2 secondary bedrooms are found on the second floor with additional 4th bedroom, gameroom and rooftop terrace found on the third floor for a MUST HAVE floor plan with an unbeatable serene private street. Last home in development. Commanding a prime corner location in the prestigious Caceres community , this town home is attached only on the back wall,allowing panoramic views of the entire neighborhood.The owners purchased the home before completion and upgraded and customized many features The open floor plan on the second floor is perfect for entertaining with French doors opening onto one of the home's three balconies. The large climate controlled wine room, with brick floor and brick ceiling is just one floor down.The entire third floor is the master suite with attached sitting room and gracious master bath with large his/ hers walk in closets. On the fourth floor is one of the two guest suites and a big game room (possible 4th bedroom) currently used as an exercise studio. Elevator to all 4 floors, hardwoods, gourmet kitchen, Viking appliances, butlers pantry, shutters,hardwood floors,transom windows,ceilings fans. Don't miss the beautiful spotless garage - finished flooring, work shop area,extra storage! 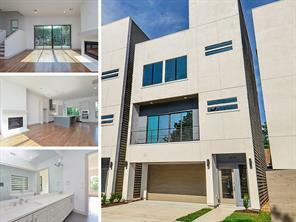 An unparalleled sought-after contemporary new construction home by Avalon Homes found in an ideal and prime location. A home with exceptional finishes, FIRST FLOOR living, YARD, 4 beds PLUS gameroom, covered rooftop with fireplace AND elevator capable - All found on ideal street with an abundance of additional parking. You’ll find handcrafted cabinets, Thermador appliances, premium 3” plank hardwood flooring found throughout, seamless premium Quartz countertops, soaring ceilings with detailed accents, notable designer lighting package, and excess of natural light with nearly floor to ceiling windows. Quality & design coupled with ideal layout & location for the utmost lifestyle. You’ll find a MUST HAVE floor plan with an unbeatable contemporary design. Rear garage alley access and additional guest street parking. A premium home that checks every box! 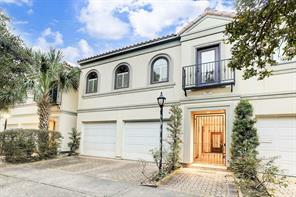 Nestled in the heart of Rice Military, just a short walk to Memorial Park and local amenities, this Mediterranean three story, single family home boasts style and spacious interiors. Gleaming hardwoods and travertine throughout, incredible chef’s kitchen with gas cooktop and built in refrigerator. First floor living includes a magnificent open concept with views of the backyard and sparkling pool. The master suite is an owner's’ dream; formal entry greets you, incredible walk-in closet with custom shelving, spa bath, and a private balcony. Secondary bedrooms feature a Jack and Jill bathroom and boast a connecting private patio that overlooks the pool. Gameroom on the third floor is replete with a kitchenette and rooftop terrace! 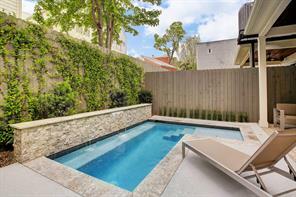 Backyard features a spacious pool and spa, multiple seating areas, and a covered patio. Stylish Patio Home built by 2017 Texas Builder of the Year, On Point Custom Homes! Living, Kitchen & Dining all located on the 1st floor for easy living & entertaining! Kitchen features quartz countertops, sleek tile selection & stainless appliances. The light-filled Master suite, located on the 2nd floor, offers hardwood floors, luxurious master bath and large walk-in closets. Also, located on the 2nd floor is a guest bedroom with private bathroom and the utility room for convenience. Head to the 3rd floor for guest bedrooms 3 & 4, full bathroom, study & game room. Last but not least, this home offers a spacious, private yard with room for a pool! 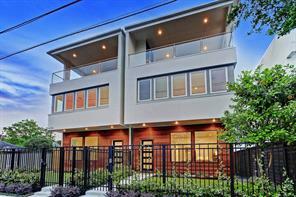 Stunning, new construction by Ava Custom Homes in the heart of the city! Featuring endless high-end amenities, the home is truly one of a kind. 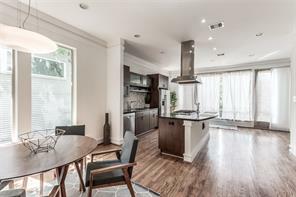 First floor open concept living, gourmet kitchen with professional appliance package, massive island with breakfast bar and semi-circular staircase provides a focal point as you step in the home. Fabulous living and dining area combo with impressive oversized windows, French doors, gas log fireplace, access to a backyard, and prewired for surround sound. The home is truly built for entertaining! The second floor is host to an impeccable master retreat with spa like bath and boutique style walk-in closet. Additional features include, secondary bedrooms with ensuite, 3rd floor game room with wet bar, wall of windows and sliding glass doors giving access to a spacious terrace with views of downtown! 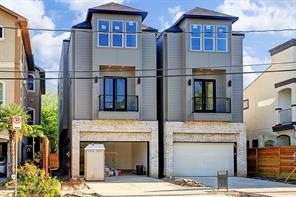 This new construction home is truly a must see! 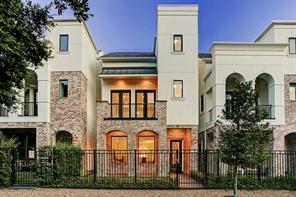 This 3,364 sqft home by Ava Custom Homes surpasses the standard. Featuring 1st floor living, 3-4 bedrooms, 3 1/2 baths, an incredible master suite, 3rd floor game room with wet bar and spacious 3rd floor terrace with views of downtown. Endless amenities & high end finishes include soaring high ceilings, amazing semi circular stairs, hardwood floors, wood burning fireplace, fenced in backyard and elevator capability! The impeccable chef's kitchen boasts custom built cabinetry w/ soft close, oversized island with breakfast bar and stainless steel professional appliance package. The location is also incredible with easy access to major freeways, minutes from Downtown and walking distance to Memorial park! This home is truly a must see! 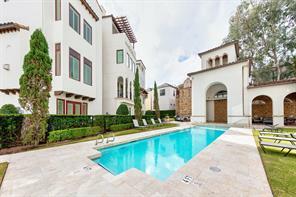 Located in the 24 hour guard gated development of Caceres less than a mile from Memorial Park, shops and restaurants and close to downtown destinations, this 4/4.5 luxury home with elevator offers a fully fenced private yard, parking for 4 vehicles & a rooftop terrace with fireplace. Sitting on one of the most premium lots in the development right next to the community pool, this home offers a lock & leave lifestyle, an open floor plan, stunning stairwell open to all four levels, chef's kitchen with white cabinetry, oversized island & Viking appliances! Come and see what sets this home apart from all the others! A must see, gorgeous townhouse in private, gated Caceres with 24/7 guard! Spacious island kitchen comes w/ stainless steel appliances & high end finishes. Home has it all, open floor plan + elevator + custom shutters to name a few. Master Bedroom has a beautiful bath w/ separate vanities & his and hers huge walk-in closets. Chill out on a charming roof top terrace complete w/ a view that can't be beat. Excellent community offers pool area & lush landscaping throughout. Come see the impeccable downtown views from this freestanding Villa with private backyard in one of the best locations in Caceres! Guard gated, 3 BR, 3.5 baths w/gameroom & study, 3 balconies + rooftop deck, elevator to all floors, walnut & travertine flooring, marble staircase, tankless WH, kitchen w/huge granite island & breakfast bar, Viking appliances & vent hood! Luxurious master bath w/beveled travertine & mosaic tiles, huge walk-in shower & jetted garden tub! Fresh paint and downspouts on the exterior and great outdoor community spaces & public pool! Seller is motivated! 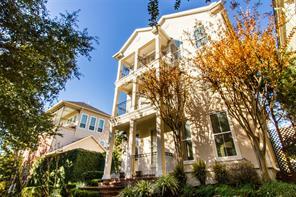 Nestled away in a beautiful private green space near Memorial park and overlooking Buffalo Bayou. 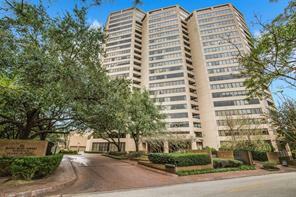 Sits a gorgeous and spacious abode at the prestigious Bayou Bend Towers. This luxury high-rise offers personal service, valet, privacy and security. Residents enjoy a heated pool, spa, state- of-the-art fitness center, tennis courts, guest suite, club room and ballroom with full kitchen. Enjoy your own private park for those morning walks. Through the front door you enter through an elegant foyer highlighted by beautiful hardwoods. This 3 bed & 3 1/2 bath open floor plan is perfect for the family on the go who like to entertain. Generous sized kitchen w/ granite counter tops. And a spacious walk-in pantry that flows easily into the breakfast and dining area. 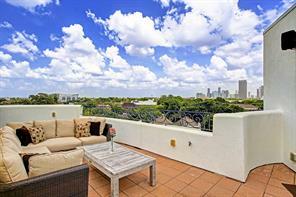 Peaceful balcony with breathtaking skyline views of Houston that overlook the bayou. You will want for nothing with this amazing friendly staff at your service. This home offers you a clean slate to work with to easily make your own. Spectacular contemporary new home by Mazzarino Construction. This outstanding location in Jackson Hill is walking distance to Buffalo Bayou Park and the 50-acre Buffalo Heights District that includes HEB. It’s centrally located to many other restaurants and shops in the Washington Corridor, Heights, Montrose & River Oaks and minutes from Downtown, The Medical Center, and the Galleria. This elevator capable home features 3 bedrooms, 3.5 baths a game room, large master retreat and a yard. 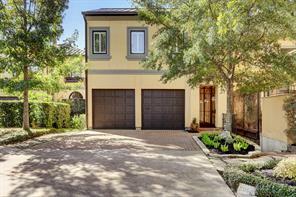 This beautiful Mediterranean home in the heart of Rice Military boasts 3591 sf of living space, as well as a wide, welcoming entranceway, side yard, and patio with summer kitchen afforded by the larger than standard 3500 sf lot. It also has widely sought after first floor living, an elegant separate dining room, and chef-quality appliances. The master bedroom is spacious with its own private balcony, and the master bath and closet are practically regal—a shower with two shower heads in addition to rain shower, a jetted tub, and closet with built-ins, central island, and three-way mirror. 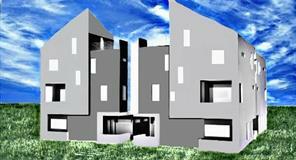 The third floor includes a huge bedroom, full bath, office, and an impressive game room with large kitchen and balcony. Elevator capable with sweeping staircases, abundant storage, stamped concrete driveway and walkways, and Nuvo Audio system throughout. What a dream home! 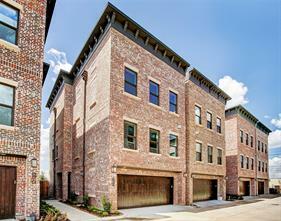 Luxury Inner Loop Living in Rice Military! Fabulous first floor living with an open floorplan that flows into back patio and summer kitchen. Attention to detail and craftsmanship on all levels. Full master retreat on 2nd floor. Gameroom/media room with wet bar and 170 bottle wine chiller on 3rd floor! Gourmet island kitchen with professional stainless appliance package. Hardwoods in living areas, bedrooms and Gameroom. Beautiful spiral staircase with forged iron railings and wood steps. Two balconies,Nice backyard, Stamped concrete driveway and ELEVATOR READY complete this perfect home! Beautiful Upscale Patio Home in the private, gated and sought after community of Memorial Heights. Tall ceilings and gorgeous hardwoods throughout the first floor. Custom cabinets and moldings, butlers pantry, and granite countertops in kitchen. Den just off of the kitchen has a Gas log fireplace. Huge Master Suite with a sitting area and private balcony. Lovely master bath offers dual sinks and vanity, a jetted tub, separate shower, and large walk-in closet. Two secondary bedrooms share a Jack and Jill Bath. Large third floor flex space has a private balcony and full bath and could be used as a 4th bedroom. Private gate in rear of subdivision opens to Spotts Park. Convenient to Downtown, Memorial Park, Museum District, Shopping, Restaurants, and so much more. No Harvey Flooding. Take your home to the next level! 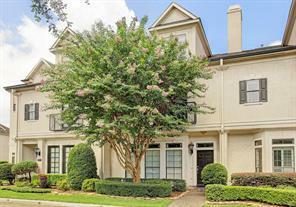 This rare 2-STORY family home is located in the highly desirable community of Rice Military! Your new home is an entertainers dream with an incredible open floor plan and an abundance of natural light. One of the LARGEST LOTS in Rice Military provides the opportunity to create your own backyard oasis for a blissful nightcap or unrivaled fun in the sun! Enjoy your private gated entrance and fully fenced backyard (that you will LOVE). Living features are impeccable from the wood floors to the 10' ceilings w/ high end crown molding, a private study downstairs, walk-in closets in every bedroom, and a beautiful view of the large covered back yard patio. Must check out the List of Upgrades that includes the new roof, newly revamped landscape, and many more luxuries! Make this your new home before it's too late! No flooding. 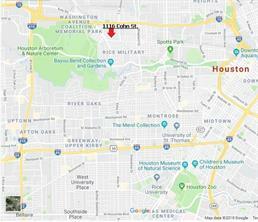 Rare opportunity to own a large lot in Rice Military. Soaring ceilings in the family room that also features a wet bar and fireplace. Kitchen is open to the living room has gas range and granite counter tops. The dining room is spacious enough for all your dinner parties. The roof and water heater were just replaced (per owner). There is a large car port that can easily accommodate 3 cars in tandem or provide additional space for outdoor entertaining. The outdoor space is large enough for a swimming pool or an addition. The over-sized master bedroom is located on the second floor with a private balcony and large walk-in closet. Also on the second floor is an additional bedroom and loft area. There is an extra room on the second floor accessible through the master bedroom or via the spiral staircase from the outside, this would make a perfect home office or gym. Gorgeous home in the guard-gated community of Caceres, offering beautiful Spanish style architecture & impeccably manicured grounds. With delightful & light-filled spaces, this energy-efficient home offers 3,200+ sf, 3 bedrooms/3.5 baths, high ceilings, wood & stone floors, and ELEVATOR to all levels. Spacious 2nd level living room w/ fireplace & stunning stone surround is open to the dining room, kitchen & breakfast room w/ balcony. 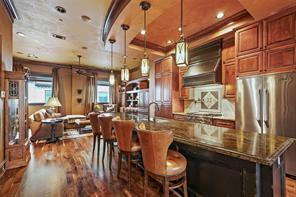 Gourmet kitchen provides large center island, marble countertops & SS Viking appliances. Master retreat offers morning bar, double closets & luxurious master bath. 4th level bedroom & bath, w/ an adjoining ROOFTOP TERRACE featuring OUTDOOR FIREPLACE & providing sensational treetop views! Caceres offers 24-hr. guard-gated entrance, lovely central green space with fountain, pocket parks & community swimming pool. Lock & leave lifestyle in an incredible location – in between Memorial & Buffalo Bayou Parks and just minutes to Downtown, Med Center & Galleria! 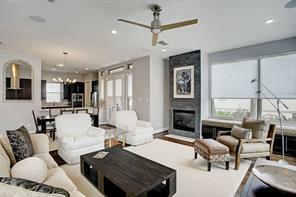 Fantastic Freestanding Home built by 2017 Texas Builder of the Year, On Point Custom Homes, offers a spacious open concept 2nd floor living plan. The light-filled living room looks out through large sliding doors to the covered veranda with fireplace. Spacious kitchen offers stainless appliances, large kitchen island & breakfast area. The large light filled Master Suite offers hardwood floors, luxurious master bath & large walk-in closet. Other features include quartz counters, beautiful tile selections, pre-wire for sound on living level, master & terrace. 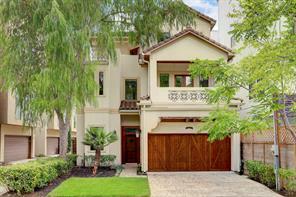 Magnificent Mediterranean Style Villa Home with first floor living & dining. Fresh paint thru-out and ready to "Just move in !". Large island in the kitchen with room for 5 or more stools. Kitchen has "high end" stainless appliances and island has a vegetable sink built into the island. Over-sized master on the second floor with walk in closet with folding counter & built ins. Spa style master bath with Large seamless glass enclosed party shower. Balcony/patio off of master. Huge game room or media room on third with wet bar & smoking balcony. Beautiful semi-spiral sweeping staircase with detailed custom wrought iron, high ceilings on all levels with crown mouldings, custom built cabinets and gorgeous hardwoods. Elevator shaft installed. Large Fully fenced rear yard with Jacuzzi party hot-tub and stamped concrete drive with room for two more cars. Many custom finishes in and out ! walk to area shops and restaurants ! a must see ! 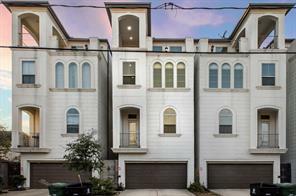 Stunning 3 story home centrally located just minutes from the Washington Corridor, Memorial Park, the Galleria and Downtown Houston. Designed for entertaining with open concept living and kitchen areas. Attractive wood floors, recessed lighting and trey ceilings throughout. Spacious living room boasts built ins, stacked stone fireplace and large windows that open to the extended covered patio with slate tile floor and fabulous outdoor kitchen. This home is elevator ready. Gourmet kitchen offers hi-end stainless appliances, granite countertops, tile backsplash and large breakfast bar. Master suite is complete with dual vanities, Jacuzzi tub, huge tile shower, custom walk in closet and private balcony. Third floor game room also has a private balcony and a full wet bar with ample storage and wine chiller. Schedule your showing to view this exceptional home today! Beautifully maintained home in Rice Military. 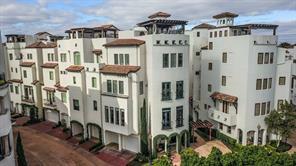 Experience old world charm with all of the modern amenities of the gated community Caceres. So close to downtown and all of the fantastic restaurants along the Washington Corridor plus enjoy easy access to Memorial Drive/Allen Parkway and the bayou trails for running, and bike riding etc. This home is full of upgrades and has a brand new roof top terrace perfect for enjoying this summer! Come see for yourself. 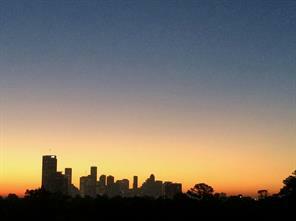 Gorgeous freestanding home w/ amazing panoramic views of Downtown & Memorial. Luxury living at its finest, no expense spared. Gated community blocks from Memorial Park and minutes from Downtown. 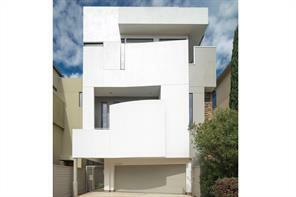 Elevator provides an extra level of convenience accessing the home & roof top terrace w/ fireplace & summer kitchen. Large master suite w/ gorgeous master bath. Formal Dining and open Living with hardwood floors. Chefs kitchen w/ top of the line Viking appliances. Private backyard beautifully landscaped. Gorgeous freestanding home w/ coveted first floor living, master on second floor & third floor game room & wet bar w/ adjacent fourth bedroom & full bath. Fantastic covered roof deck & inviting backyard. Beautiful finishes & attention to detail. Features include hardwood floors throughout, tons of closet space, granite counter tops & stainless steel kitchen appliances. Private double-wide driveway & top-of-the-line Wayne Dalton garage door. 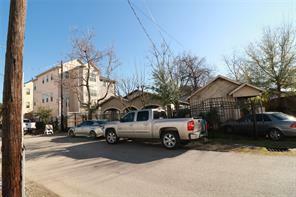 Great location and close proximity to Memorial Park. All per seller. 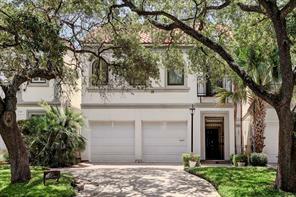 Gorgeous stand-alone patio home in gated community in sought after Rice Military/Washington Avenue/Memorial Park area. 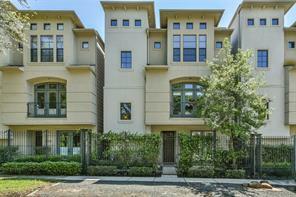 Close proximity to downtown Houston and Galleria areas. This home features a 2-story design with 1st floor living. beautiful finishes: crown molding, high ceilings throughout: hardwood flooring, plantation shutters, Hunter-Douglas shades. Bright spacious eat-in kitchen with a 9 foot granite countertop island, large open living/dining rooms with a cozy gas log fireplace; large windows. The 2d floor has a large master suite with 12’ vaulted ceiling, large walk-in-closest, lovely en suite bath with jetted tub. This home boast lots of storage with large laundry room including the washer and dryer. 3rd floor bonus room. 2-car garage beautiful premier floor coating. Backyard is hardscaped with landscape lighting and a water feature; a programmable zoned sprinkler system for all landscaping including the balcony plants. Don’t miss this impeccably maintained home. A must see! Updated third floor condo with unobstructed tree top views and large windows provide plenty natural light throughout. Sought after “05” floor plan with two bedrooms, two baths, balcony, large living areas, and surround sound speakers in the master and living room. 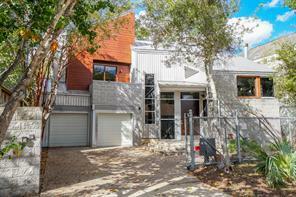 Perfect for anyone wanting to downsize or have a second home base in the city with full service staff. Updated kitchen with granite counters, stainless appliances, and trash compactor. 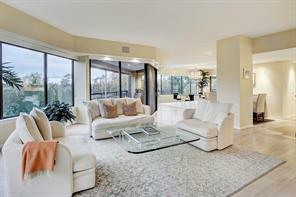 Expansive master has an adjoining sitting area, large closets, plantation shutters and plush carpet. One of the closets has been converted into a small office. Excellent location and this premier highrise has all the amenities discriminating buyers want: impeccable staff, valet parking, concierge, on-site guard, refined party room, recently improved gym, guest suites, additional storage, outdoor pool, and spa. The unit has two assigned parking spaces; one private storage space; stackable washer and dryer. This home did NOT flood during the Harvey Hurricane! 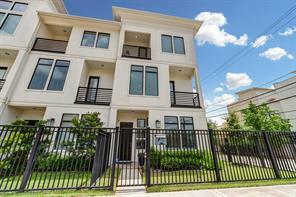 You can enjoy city living in this beautiful gated community located in the Houston downtown area, adjacent to Buffalo Bayou and Spotts Park. This gorgeous home comes with the following renovations: new carpeting, totally repainted, including wrought iron fences, a brand new AC coil and two brand new water heaters. This unique home has two Master Bedrooms: one on the first floor and one on the second floor. The 2nd floor master bathroom has a hydro-massage system that you’re sure to enjoy. Spacious 3rd floor can be used as a TV/game room or office area. Floor plan includes hardwood floors on the first floor, granite kitchen countertops, shutters and wood blinds, balconies on 2nd and 3rd floors. And the spacious kitchen/family/breakfast room provides openflow for entertaining. All furniture and antiques within the house are included, but can be removed if not interested. HURRY; It won’t last long! 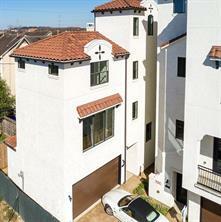 FORMER DESIGNER'S MEDITERRANEAN STUCCO TH W/FABULOUS VIEWS!MINUTES FR DOWN-T,MEMORIAL PK,RIVER OAKS.WALLS OF GLASS FILL HOME W/NATURAL LIGHT!GOURMET ISLAND KITCHEN,UPGRADED STAINLESS APPL/GRANITE.KIT OPENS TO FAMILY ROOM W/ 2 STORY CEILING & MORNING ROOM!MASTER SUITE IS ENTIRE 3RD FLOOR-INCLDES M. BATH/SHOWER/WHIRLPOOL ROMAN TUB, HIS/HER CLOSETS & A MEDIA ROOM W/BALCONY! 2 BEDRMS DOWN W/2FULL BATHS.3 BALCONIES,1 PATIO,& BK YARD!HARDWOODS/SLATE FLRS.ELEVATOR CAPABLE. **NO HOA FEES** A DREAM HOME! Remarkable urban estate with a beautiful backyard oasis in the center of it all. This oversized lot sets this home apart from others and is designed to its full potential: sparkling pool w/waterfall feature, professional landscaping, multiple balconies, beautiful gardens, guest parking for 4, grand “wow” entrance lined with gas lanterns and a jasmine pergola. Well laid out interior is freshly painted and brimming with beautiful custom wood cabinetry, neutral granite, real hardwoods, open concept living perfect for entertaining, and spacious ensuite bedrooms. The Master bedroom showcases vaulted ceilings and large walk-in closet while the master bathroom includes an oversized frameless shower with dual shower heads, jetted tub and private WC. Ideal location near restaurants, cafes, Memorial Park trails and parks, as well as very short commutes to downtown, I-10, Galleria, major interstates. Come beat the heat at your own private retreat surrounded by the pulse of the city. Agent owned. 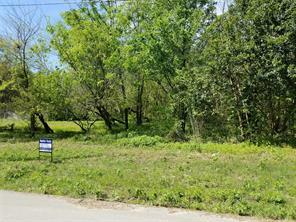 Lot is mostly cleared with 1 remaining tree and some shrubbery at the rear of the lot. This is a corner lot in Rice Military Corner. 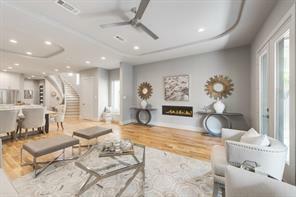 Located between Memorial Dr. and Washington Ave.
With twelve foot ceilings on the main living level, exquisite white marble throughout, a barrel vaulted master bathroom ceiling, and glamorous crystal accented lighting, this home was designed to impress. Located just south of I10 and the Washington Corridor, you are conveniently located minutes from downtown, the Galleria/Uptown, and all that Houston has to offer. Take in the sights of the city from your private rooftop terrace or enjoy spending time with friends and family around your 9 foot kitchen island. Oversized, industrial style windows throughout will be the perfect accent for your home furnishings. HOME DID NOT FLOOD! 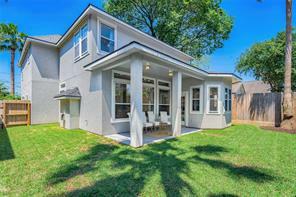 GORGEOUS remodeled home close to Memorial Park, Buffalo Bayou Park, and Bayou Bend! This 3 bed/3.5 bath home has been beautifully updated and includes chic marble flooring entry, secondary bedroom on the first and third floor each with ensuite bath and large walk in closet, FABULOUS second flooring living with all new open concept Living/Dining/Kitchen with new custom cabinets, new stainless steel appliances, marble countertops, island seating, large pantry, outdoor patio, tons of storage, new powder bath, Master Suite with 2 walk-in closets, Master Bath with whirlpool tub, large open shower, illuminated mirrors, 3 skylights for great natural light, and a great utility room reworked to maximize storage! The details Dennis Brackeen Design Group put into this home are spectacular and should not be missed! 1 Block from Kroger! Great 8,729 SF property for townhouses, single family home, office, retail or various other commercial uses. Brand new street (summer) & significant infrastructure improvements have taken place all around (Including water and sewer). Court street to be improved by the city in the near future. Summer st @ Studemont to be a signalized intersection. Privately gated free standing patio home south of Memorial Drive, situated on a larger lot (3,400 sf lot) with gorgeous hidden European-style interior patio and fountain. Hard to find first floor living with kitchen, dining room and living area easily accessible. Upstairs includes generous master with built in bookcases, large walk-in closet big enough for two and executive bath. Two secondary bedrooms have ensuite baths. Additional sitting area upstairs is suitable for den or potential study area. The interior patio affords privacy and a pleasant view from most rooms. Additional backyard space accessible from dining room. 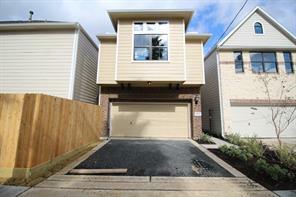 2-car garage plus additional driveway parking and street parking. Walk to restaurants! Updates include: some windows, some doors, interior paint, tankless water heaters and more. See agent for full list of updates. Ready for immediate move in! NEVER FLOODED, per Seller. This timeless London inspired home by Prim Development surpasses the standard. Featuring an open concept 2nd floor living, 3 bedrooms, 4 1/2 baths, an incredible master suite and 4th floor game room/optional 4th bedroom. Amenities include expansive rooftop deck with Downtown views, sizable front yard with chic black wrought iron fence and an additional gravel parking spot right next to the home. Interiors boast floor to ceiling windows, ample natural light on every level, handcrafted hardwood floors and elevator capability! The impeccable kitchen boasts custom built cabinetry, stainless steel appliances, polished black granite countertops, a massive island and endless amounts of storage. 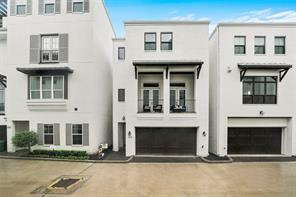 Incredibly central location just minutes of Downtown, Memorial Park, Buffalo Bayou and Galleria. The home is also walking distance to so many of Houston's popular eateries and new restaurants such as The Classic, El Tiempo, Blue Fish, Union Kitchen & so much more. 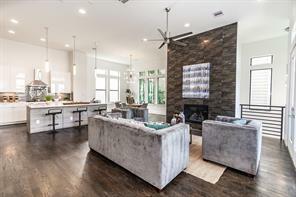 This new construction home is ideally located on a quiet street walking distance to the hike/bike trails along Buffalo Bayou as well as to shops, restaurants including the new HEB on Washington. Not only is this home stunning architecturally, but the quality of construction is evident the minute you walk in the front door. With superior finishes throughout, you really need to see this home in person to understand and appreciate the level of detail that sets this home apart. This home has a large private yard that is very unique for the area. ATTENTION BUILDERS! 10,500 SQF, 3 Lots(239,240,241) per tax appraisal. In the Washington corridor area. With New construction all around. 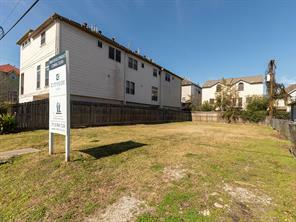 GREAT FOR NEW CONSTRUCTION, walking distance from Wal-Mart and new commercial development . Drive by viewing only...please do not disturb the tenants. This Rice Military Home is one of a kind! It features first floor living, private driveway, an oversized private patio, game room, study, stunning master suite and 2 additional guest bedrooms. Replete with sophisticated details, 214 Malone boasts: Hardwood floors, Designer Lighting, Natural Light Throughout, Sonos Speakers, and Wired IP Cameras. Home is situated on a quiet, tree lined street with close proximity to restaurants, theaters and Memorial Park. Schedule your private showing today! RMI strives to give buyers a better home experience in enjoying a new home. 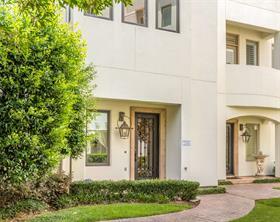 Gibson Villas are a beautiful 4 story town home minutes away from local attractions like the jogging trails at Buffalo Bayou Park, the Washington Corridor, and quick convenient access to highways. These Mediterranean style villas boast a large spacious open-concept living and dining room, game room, and breath taking views from your roof top deck. Don’t miss out! 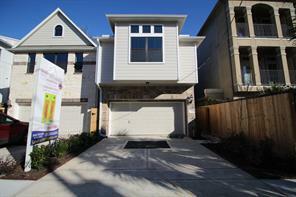 Stunning free standing home in sought after Rice Military/Memorial Park area. Impeccable condition! 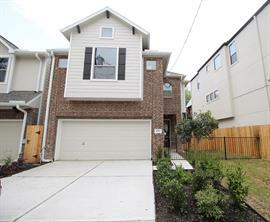 Home features a spacious private fully fenced backyard big enough to have a pool. Backyard comes with sprinkler & mosquito system, outdoor lighting and extended patio. Beautiful flagstone walkway was added from the front of the home all the way to the back patio. Private driveway can accommodate parking for 2 additional cars. The interior and exterior of the house were painted from top to bottom w/designer colors. High end finishes throughout. Lots of closets and storage space. Amazing location! 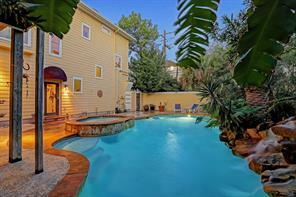 Walking distance to Memorial Park, restaurants, shopping & night life. 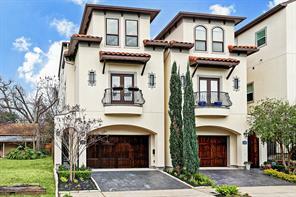 Minutes to Down Town and easy access to major freeways like I-10 & Loop 610. Home has been beautifully updated and well maintained. NO HOA! NO FLOODING! Memorial Park-Rice Military-504 Lester St a 4 bedroom 3.5 bath + game room 2 car attached garage single family home w/ 1st floor living, a private driveway & NO HOA. Built in year 2016 this lightly lived in 3400 square foot Tricon Home is light and bright w/11 foot ceilings & Hardwood floors throughout the home.White Quartz Island Kitchen w/soft close cabinets & drawers,stainless steel Bosch kitchen appliances including a French Door refrigerator, 5 burner cook top, Convection Oven,dishwasher & Wine Fridge, Travertine subway back splash w/under counter lighting. Living room w/gas fireplace + French Doors that lead out to the homes over sized back yard w/ custom paver patio.2nd floor master suite w/French Doors that open to 2nd floor deck.Huge master closet & spa like bath with soaker tub + separate shower, double vanities and a private water closet. 2 guest bedrooms w/Hollywood bath & laundry room. 3rd floor 4th bedroom 3rd full bath + huge game room w/wet bar/refrigerator. Perfection! Welcome to 117 Asbury Street. 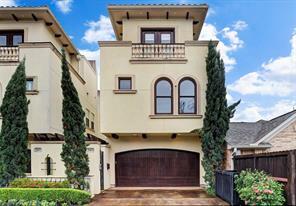 Beautifully maintained Mediterranean style home conveniently located in the Tuscan Villas. gorgeous wood flooring, double crown molding and recessed lighting throughout. 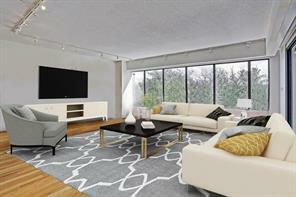 Spacious living room features custom built ins and cozy wood burning fireplace. Incredible silver storage closet with locked private entry. Kitchen offers double oven, gas range stove and stainless appliances. Upstairs master suite boasts huge en suite with shower, jacuzzi tub and balcony with stunning views of the intimate courtyard. This home is sure to impress! Through sunlit French doors of the spacious and open-concept living & breakfast areas with dramatic high ceilings, access a backyard oasis with sparkling pool & waterfalls. Entertain or train year round with use of the pool heater & swim current jets. 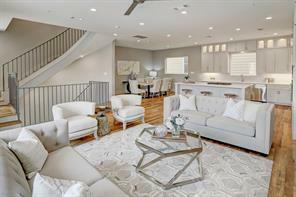 Loads of comforting sun & ambient light throughout this gorgeous 2 story home. Home boasts hardwood floors up & down, butler's pantry, granite counters, breakfast bar(s), glass front cabinets, stainless steel appliances & wine fridge. Over the years Seller lowered original bar top high counters to lower height for more open feel; replaced carpet with wood treads on the stairway & wood floors on the 2nd floor; invested $15K on proper drainage for the yard (never flooded); & freshly landscaped front and back yards. All bedrooms and the master bedroom suite with balcony are upstairs. Master bath suite has double sink vanity areas, jetted tub, & shower. Near Memorial Park and restaurants & shopping of the Washington Corridor and Memorial Dr. Spectacular contemporary new home by Mazzarino Construction. This outstanding location in Jackson Hill is walking distance to Buffalo Bayou Park and the 50-acre Buffalo Heights District that includes HEB. It’s centrally located to many other restaurants and shops in the Washington Corridor, Heights, Montrose & River Oaks and minutes from Downtown, The Medical Center, and the Galleria. 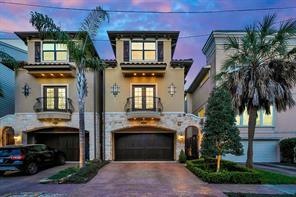 This home features 3 bedrooms, 3.5 baths, large master retreat and is elevator capable. 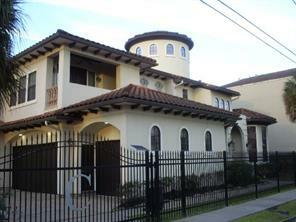 RARE TWO BEDROOM executive townhouse with ELEVATOR in the exclusive community of Caceres;private,gated,guarded 24hrs. 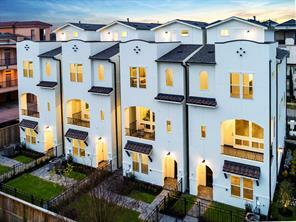 Located in Rice Military with lock≤ave lifestyle is just minutes from downtown,Medical Center and Galleria. Open-living concept features 2 bedrooms,2 full & 2 half baths,gourmet kitchen w/Viking appls,3 balconies and community resort-style pool. 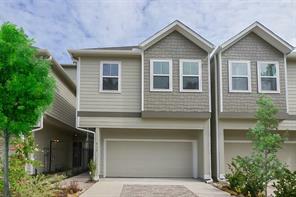 This pristine four story home with neutral colors is move-in ready. Never flooded! Prime location in the heart of the Washington Avenue corridor! Contemporary new construction offering a private driveway, backyard space, and unrivaled views from the terrace on the third floor. The interior features a functional layout with living, dining, and kitchen on the first floor. Third floor includes a large game room that opens up to inviting outdoor living space. This building is platted with 217 Knox (Tax ID #030-086-000-0011), but can be sold ($650K) or leased ($3,850/mo.) separately. This could be a Single Family Home, but it is best suited to be an OFFICE BUILDING. Over 2,200 sq. ft. with an open 1st floor with concrete flooring, kitchen, full bathroom (with shower, no tub), closet & flex room. There are several separate offices upstairs and the plumbing is already stubbed out so a 2nd floor bathroom can be added. There are currently lofted areas on 2nd floor overlooking the 1st floor and there are 5/6 parking spaces in front of building. Call listing agent or his assistant for details or to schedule an appointment to see interior. 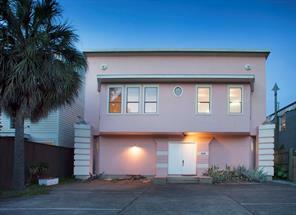 Great location minutes from Memorial Park and very interesting building! Drive by to see the exterior and call for a showing of the interior. 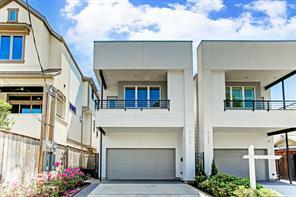 Contemporary Rice Military with large covered Balconies & Patios on every floor!!. 1st floor bdrm leads to lg covered patio w/ summer kitchen. Kitchen on 2nd floor w/ center island, Bosch appliances, wine cooler & rack, granite counter tops, plenty of storage & breakfast bar. Living area adjoins to lg balcony w/ fireplace, wired for media/entertainment center. 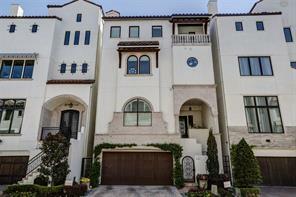 Master opens to large balcony, gorgeous master bath w/whirlpool tub, separate shower all w/ marble finishes. Security w/ cameras throughout & sprinkler system. This Silver Key custom home has hardwoods throughout with unbelievable upgrades. 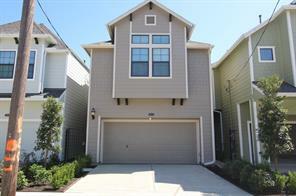 Seller added hardwoods in all the bedrooms and closets except master closet has carpet. This is a one owner house. Prime real estate in highly sought-after Rice Military! Large multi-purpose lot for your dream project as there are no restrictions in this area. Currently contains a house with garage and addition used for a business that is being sold as is. The property is located off Washington Avenue with close proximity to Memorial Park, Allen Parkway trails and numerous restaurants and shops. Easy access to downtown, the Galleria, and the Medical Center. 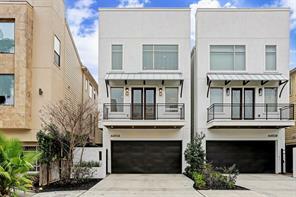 Minutes from I-10 and 610 Freeways for easy commuting. NO FLOODING! 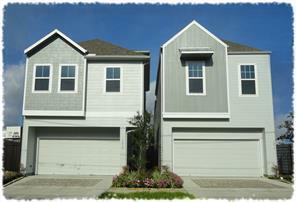 These 2 beautiful homes are coming right into the heart of Rice Military! First floor living, private driveway with guest parking, and a spacious floor game room. 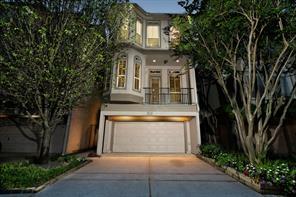 Minutes away from amazing Houston restaurants and family friendly activities. Call us today to check out your future home! Exclusive contemporary South American Villa style gated town home community designed by renowned architects, The Mirador Group. Located in the heart of the City, walking distance to the Buffalo Heights District, Houston’s next game changing mix-use development. 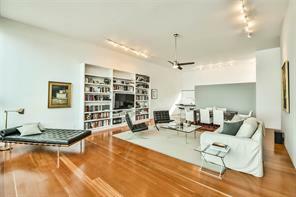 Game room and large panoramic view roof deck with breathtakingly close downtown skyline views. Balconies off the living areas as well as the master suite. 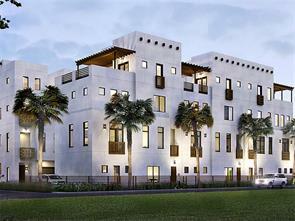 Soaring 12-foot ceilings, exquisitely appointed finishes, high-end cabinets, designer flooring. Property has a small house on it, but is being sold as-is for lot value only. 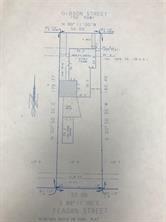 Dimensions of lot are 60 x 115 for a total of 6900 sf. Can build a maximum of four townhomes or single-family detached homes with a common driveway OR two extra-large homes side-by-side with driveways and garages facing the street OR one large custom home. 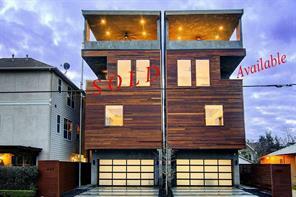 For reference, there is a single-family home at 607 Malone that sold for $1,090,000 (3814 sf) on a 2500 sf lot. 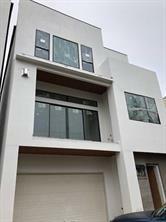 The single-family new construction home at 609 Malone (just across the street, one lot south) is presently on the market for $1,149,000 (4307 sf) on a 2500 sf lot. 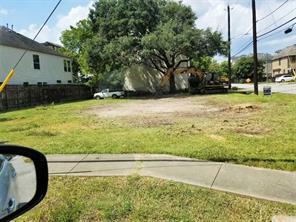 With the extra width of this lot at 616 Malone Street (60 vs 50 feet on other lots), as well as the extra depth (115 vs 100 ft), some really nice homes can be built on this beautiful and perfectly situated Rice Military lot, just blocks from Memorial Park, minutes from Downtown Houston ... hurry while it is still available to build your dream custom or spec home(s)! 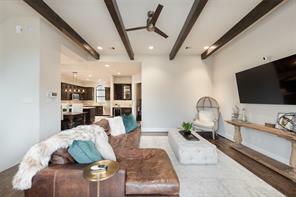 This new construction home is ideally located on a quiet street walking distance to shops, restaurants and the hike/bike trails along Buffalo Bayou. Not only is this home stunning architecturally, but the quality of construction is evident the minute you walk in the front door. With superior finishes throughout, you really need to see this home in person to understand and appreciate the level of detail that sets this home apart. Make this large spotless, comfortable condo your home. Entry has hardwoods continuing throughout living areas. Two bedrooms, 3 baths. Tree tops and bayou views. Contains 2,126 sq.ft. plus 2 balconies. Open floor plan with huge living area. Large kitchen with breakfast area. Black granite kitchen counters. Remote solar shades on all windows. Marble counters in bathrooms. Sitting/office area in master bedroom. Track lighting. Separate pantry. Full size washer/dryer. Two assigned parking spaces; one storage space. Full service building and beautiful grounds. Unobstructed views. Outstanding value. 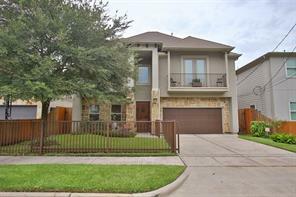 2-story home in the prime neighborhood of Rice Military! Sandcastle Homes' Lisbon plan has the feel of a traditional home with a open concept on the first floor and all the bedrooms upstairs. Fabulous kitchen with a HUGE island and amazing pantry, Bosch appliances and custom cabinets! Private driveway and side yard. Spacious master suite and a very functional game room. The master bathroom has two vanities, a jetted tub and standing shower. Two master closets! The home is move in ready. Tucked away in the heart of Rice Military, 4318 O’Reilly B exudes a quiet elegance, providing an ideal setting for casual living or entertaining. First floor is executed with design and functionality in mind, offering an open floor plan and monochromatic scheme. Master suite boasts hardwood floors and a private balcony, complete with a large walk-in closet, dual vanities with knee space, and a separate tub and shower. Two secondary bedrooms and a 3rd floor game room round out the rest of the home, complimented by a fenced outdoor space equipped with a grill. OPEN SUNDAY 9/16 3-5 PM. 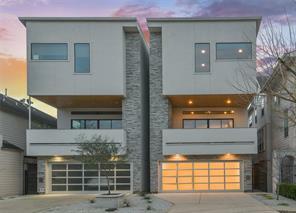 GREAT PRICE for this Fabulous contemporary by award winning builder UNIKA Construction. Short walk to Memorial Park. Hard to find flooplan with living / dining / kitchen areas on the first floor and rooftop deck on the third floor! Great for entertaining and back-yard barbecues, no carrying groceries up the stairs. Incredible kitchen open to the family room high-end contemporary cabinetry and a huge walk-in pantry. Wonderful light filled rooms! Concrete floors downstairs, light bamboo flooring throughout the upstairs and no carpet anywhere! 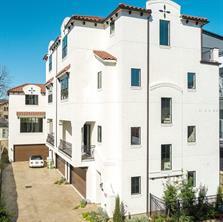 Large master suite w private balcony, contemporary bath & custom closets. 3rd floor has media room or 4th bedroom and a large rooftop deck. Elevator ready floorplan with stacked closets on each floor. NEVER FLOODED - no known flooding in this area. 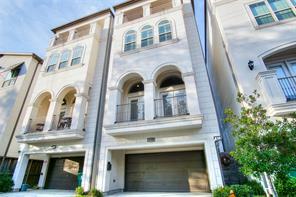 Located in Rice Military, Birdsall Villas is just minutes away from the Galleria and Downtown. 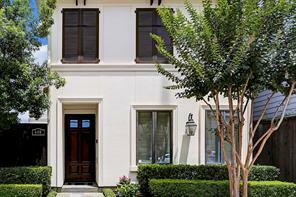 These elegant three-story homes are freestanding and offer a private driveway and backyard. You will find Unique finishes throughout each home that offers first floor living. A master suite with its own balcony, and ample storage throughout each floor. Each unit is Elevator capable and comes with a spacious bonus room on the third floor where you can let your imagination run wild. Stop by today and own your own piece of Rice Military before it’s gone! 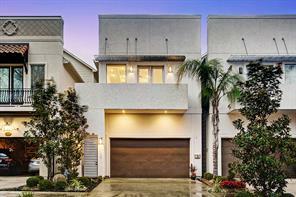 Beautifully designed and engineered, soft contemporary home w/ rare 2 story floor plan of living on first floor, all bedrooms up, beautifully landscaped backyard w/ an outdoor kitchen, a waterfall fountain, and a long double-wide private driveway! This home features a gourmet kitchen w/a large waterfall island, Silestone countertops, high-end Bosch ss appliances, built-in cabinetry and a dry bar, beautiful hardwoods throughout, 10’ ceilings, surround sound, very cool and modern fixtures/finishes, & lots of natural sunlight! Spacious Master suite w/double doors to the balcony off the front, Generous master bathroom with Whirlpool tub, huge walk-in closet with built-ins, and more. Utility room is located between all bedrooms on second floor. 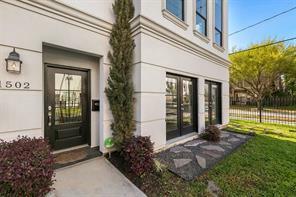 Truly central living, walking distance to Buffalo Bayou, Memorial park, close to Whole Foods Market, Sprouts, River Oaks Shopping Center, best restaurants Houston has to offer, and Downtown, Medical Center, Memorial, I-10, 45, and 610! This spacious freestanding home has more than 2,800 square feet featuring 4 bedrooms and 4.5 baths. The 2nd floor features an open concept living, kitchen, and dining space providing a great space for entertaining guests. The island kitchen is finished with a beautiful Blanc Du Blanc Quartzite countertop, Thermador appliances, soft close cabinets, and a wine fridge, perfect for any chef! The luxurious master suite features a large closet and attached is a beautifully tiled master bathroom with a semi-frameless shower, a drop-in tub, and dual sinks. This home also features a spacious game room with an open beam ceiling that offers a walk out roof terrace with pergola top.This location provides you with easy access to Heights Boulevard, Shepherd and Memorial Drive. Close to some of Rice Military’s favorite restaurants such as El Tiempo, Laurenzo’s, and the Dunlavy. Also walking distance to the Washington Avenue Entertainment District, Spotts Park, and Buffalo Bayou bike and hike trails. Beautifully maintained brick home in gated and 24-hour manned community. First floor living with three bedrooms on the second floor and a bonus room on the third. Hardwoods on 1st and 2nd floors, tons of storage, with a private patio area between the home and garage. 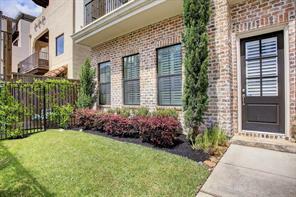 Controlled accessed community centrally located minutes from Downtown Houston. Upgrades and paint in 2016. New AC in 2017. Private gate to Spotts Park with quick access to the newly renovated Buffalo Bayou Park. Ready for move in. New construction built in Rice Military. Home features first floor living with gourmet island kitchen that features quartz counter tops and hardwood floors. Stainless steel appliances with wine fridge along with abundant cabinets and counter space. The first floor features acacia hardwood floors. Panoramic wall of windows that provide natural lighting. Master suite that features a sitting area along with executive master bath with large walk in closet. Game room up with hardwood acacia floor and mood lighting. Secondary bedrooms with plush stain resistant carpet. Private driveway and backyard!!!!! Last chance for this Quintessential Urban-Chic Lifestyle! 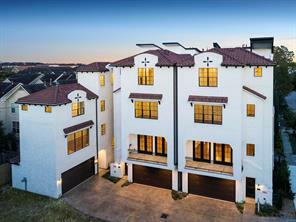 This unique 4 story home features rich espresso hardwoods, soaring ceilings, picture windows, designer fixtures, and elegant master bath make this home a sophisticated masterpiece from top to bottom. Chef’s kitchen features island quartz counters, Bosch appliances including fridge & contemporary pot filler faucet. This wonderful home has a private driveway & fenced side yard. Located walking distance to Memorial Park and wonderful restaurants on Washington Ave. Hurry, only 1 unit left. Welcome to 5908 Maxie Street. 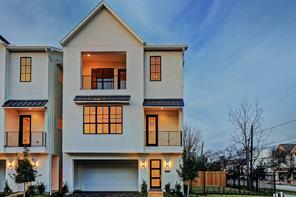 This freestanding home has 4 stories, 3 bedrooms, 4.5 baths, and a 2 car garage. The home features a fenced yard on the first floor and a rooftop deck that opens from the spacious game room with a wet bar. You can see downtown from the rooftop deck and view the fireworks over downtown on the holidays! The backyard has faux grass for easy maintenance! The first-floor bedroom contains a huge closet with a private bathroom and opens to the backyard. The second floor has a spacious kitchen, walk-in pantry, half bath, two sets of doors that open to the balcony, high ceilings, and recessed lighting. The third floor boasts a master bedroom with two walk-in closets, guest bedroom with private bath, and a laundry room. Make this your new home today! Yes, that price is for a 2-story freestanding single-family home in the heart of Rice Military. Sandcastle Homes' Sterling plan has the feel of a traditional home. Fabulous kitchen with a HUGE island. Formal dining area and separate living room. Granite or quartz countertops, wood floors and Bosch stainless steel appliances. Spacious master suite and a very functional gameroom. The home is move in ready. 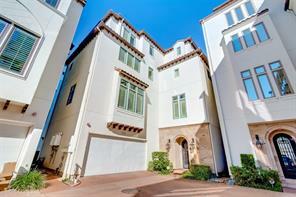 Gorgeous Mediterranean - 3 Story Single Family 3 bedroom with all en-suite baths. 2,500+ sq.ft. on a 2,500 sq.ft. CORNER lot. Designer touches include Hardwoods, Stone/Tile, Granite, Custom Buit-Ins, Crown Molding, Stainless Steel Appliances,Stucco and Stone Exterior Accents with Balcony,Wrought Iron Railing, Stamped Concrete Driveway and beautiful landscaped yard. Gorgeous designer lighting is showcased throughout the home. Front yard is gated with privacy wrought iron fencing that wraps around corner lot. Contemporary living in the heart of the city! Exceptional free standing home that offers a private driveway, first floor living and a large backyard to extend the living area outdoors. Home features hardwood floors, high ceilings, recessed lighting & a designer kitchen every home chef would love. Stone countertops with a waterfall island, stainless steel appliances, rich dark wood cabinets, and an open flow to the dining & living space that is perfect for entertaining. All bedrooms are on the 2nd floor including a master suite that is spacious & bright. Balcony off master bedroom is the perfect place to start or end your day. Master bath offers dual vanity areas, separate tub & walk-in shower and great closet space. Third floor game room is the perfect flex space, which can be used as a game room, home gym or could be a 4th bedroom complete with it’s own on-suite bath. The craftsmanship and design of this home is second to none! Situated on a charming quiet street in Rice/Military, this elegant French traditional home is filled with architectural details and desirable upgrades plus beautiful views from the rooftop deck. The classic arched entry door greets you as you enter. Floor to ceiling energy efficient windows in the living room let light flow in. You will love the chef inspired open concept Island kitchen with designer finishes and a delightful balcony. The luxurious master suite features a coffee bar and walk in closet that connects to the central laundry room. The 4th floor game room provides a retreat that offers access to the rooftop deck. Downstairs office/bedroom has a closet and full bath. Upstairs secondary bedrooms are large and offer walk in closets. Newer A/C, Tankless H20 on demand water heater. This home is elevator/lift ready. Amazing location with walking distance to Memorial Park, restaurants and nightlife. Near downtown, Galleria and The Heights. 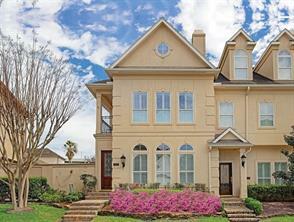 Stunning 4-story masterpiece in Rice Military/Washington Corridor. These Modern Masterpieces feature rooftop terraces that wraps around the top of the home, great to entertain and enjoy with great views of the area. The Interior spaces are composed to provide thoughtful lifestyles flexibility, security, and privacy. Beautiful hardwood floors and elegant finishes. Custom Cabinets throughout and kitchen that is designed for entertaining. Will be fully completed for move in soon. Call today for viewing. 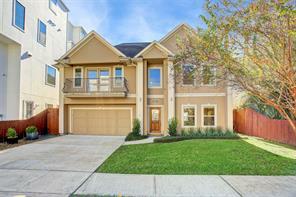 This SPECTACULAR 3 story single family home with inground pool in Rice Military is MOVE IN READY! 3,032sf, 3 Bedrooms, 3.5 Baths, 2 car garage with own driveway! 1st floor features a guest bedroom, full bath and bonus room that leads out to a tranquil backyard with HEATED SALTWATER POOL and covered patio - A RARE FIND in Rice Military! The 2nd floor opens up with REAL wood floors, and a ROCK fireplace to the living room, dining rooms and kitchen that includes GRANITE countertops and stainless steel appliances. The 3rd floor showcases a spacious master retreat with ensuite master bath featuring a skylight about the whirlpool tub, separate double shower and double sinks with 2 large walk in closets with built-ins. Spacious Guest-room with full ensuite bath and a walk in laundry room complete the 3rd floor. 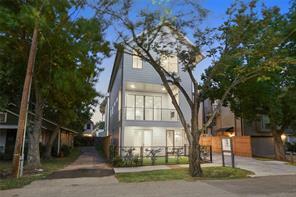 Walking distance to Memorial Park and Buffalo Bayou walking and biking trails. This area boasts hip clubs, upscale dining, swank wine bars and trendy shopping all at your fingertips! 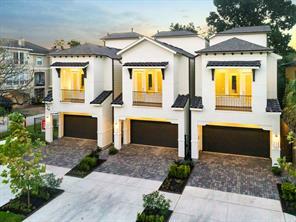 The Memorial Patio Homes development is centrally located in the heart of the Rice Military neighborhood. Just minutes from downtown and the galleria, the community’s proximity to Washington Avenue and I-10 makes Memorial Patio Homes a desirable location to purchase a new home. With more than 2,200 square feet featuring an open layout, 11-foot ceilings in the beautifully designed living and dining room spaces, these Mediterranean-style homes showcase the newest features of design. Each stand-alone unit offers a private driveway for additional guest parking, gated front yard space, and separate entry doors for short-term rental capability. All homes are pre-wired for alarm and surround sound. Each unit includes a roof terrace with gas and water connections. 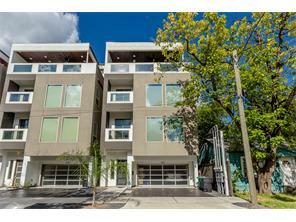 Contemporary 4 bedroom townhome loaded with extras with fantastic downtown views from the rooftop deck! 1st floor features 1 bedroom, 1 bath an oversized laundry room and bonus room perfect for a game room, office or home gym. The split bedroom floorplan is perfect for roommates or guests. 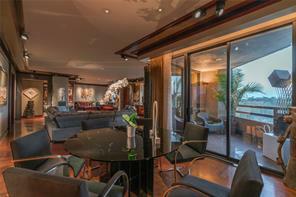 2nd floor showcases a large living room complete with a wet bar and Sub Zero beverage fridge. And, a chef’s kitchen with a large island, ample cabinet and counter space and granite counters. 3rd floor is complete with a master retreat with room for a sitting area and an updated master bath with dual vanities, walk-in shower and soaking tub with his and her walk-in closets. 4th floor bonus room with access to rooftop deck. Don’t miss the 5th floor sky deck to enjoy the Downtown views. Gated community with ample parking. Make an appointment for a private showing today! This rare 2-story home features first floor living, private driveway, and a private backyard. Completely open floor plan! 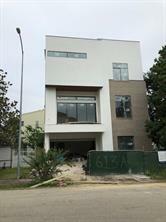 Home features 10 foot ceilings, custom cabinets, granite counter tops, wood floors and Bosch appliances. HUGE master suite and a very functional island kitchen. The master bathroom will have two vanities, standing shower and separate jetted tub! 3 bedrooms, 2 baths and large gameroom on second floor. Private driveway for extra parking and private backyard! Walking distance from Washington Ave! The home will be move-in ready December 2018! From Award-winning homebuilder, ROC Homes, this new construction freestanding 2-story features a rare "1st-Floor Lifestyle" with a full-size private driveway in the heart of the city. This patio home has a touch of Craftsman style setting perfect for entertaining. The 1st-floor features your kitchen, living and casual dining space along with a flex room ideal for a daytime nursery, study or hobby room. All bedrooms are on the 2nd-floor in addition to a game room and laundry. Located in SOUTH Rice Military, this home sits on a quiet tree-lined street just a few steps from the Memorial Hike & Bike trail. This gorgeous home is one of a kind in this area! A fantastic floor plan, amazing location, space between neighbors, abundant light & private backyard. The inviting 1st floor foyer provides access to the backyard & to the large bdroom with bamboo floors & private bathroom. 2nd floor has wood flooring from living room thru to dining room & kitchen, & provides access to a shaded private deck ideal for grilling. Custom built-ins, crown molding, recessed lighting, upgraded cabinets and fireplace add to the luxury of this home. The well appointed kitchen offers granite countertops, an extra long bar/island & stainless steel appliances. Warm, inviting and unbeatable for entertaining, you won't find a more open kitchen, dining and living room combo than this one! The third floor features a large second bedroom and third floor landing. Master suite offers an adjoining study/nursery/exercise room-your choice; an upgraded bathroom with his/her sinks and a walk-in closet. This one is a must see! 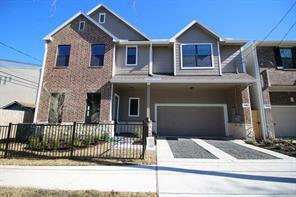 Freestanding, 2 story home in Rice Military! This home is Sandcastle Homes' award winning 2-story Athens plan, which includes 10 ft ceilings, an over-sized island kitchen with breakfast bar, a functional game room, walk-in closets in every bedroom and a Jack-and-Jill bathroom between the two secondary bedrooms. Granite counters and Bosch stainless steel appliances are standard features. Don't forget the full driveway with ample parking & private backyard. This home is ready for move-in June 2018. 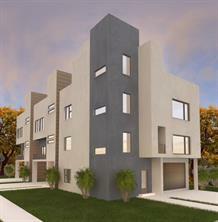 Exclusive contemporary South American Villa style gated town home community designed by renowned architects, The Mirador Group. Located in the heart of the City, walking distance to the Buffalo Heights District, Houston’s next game changing mix-use development. Game room and large roof top terrace. Balconies off the living areas. 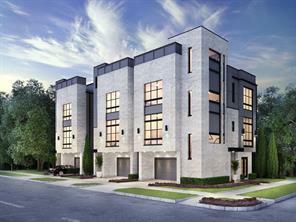 Soaring 12-foot ceilings, exquisitely appointed finishes, high-end cabinets, designer flooring. This New Construction home by Quintessa builders is located on a quiet street, inside the loop & walking distance to Memorial Park! 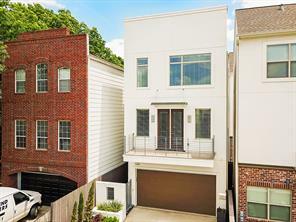 Features 3 bedrooms, 3.5 bath, full painted brick exterior w/designer inspired window shutters & a covered 2nd floor balcony! This home offers high-end finishes throughout, including custom-site built cabinetry, high-end counter tops & hardwood flooring on the 2nd floor living area. The well-appointed kitchen includes a custom designed tile backsplash & a large island w/designer selected light pendants. The high end kitchen appliance package includes a 36" gas range, Bosch Dishwasher, Zephyr vent hood, Whirlpool wine cooler & so much more! The home also offers speaker pre-wire in kitchen, family room, & Master Bedroom/Bathroom, full alarm system, Smart Home Automation System Pre-wire, & mudroom conveniently adjacent to garage entry. Builder is giving away **thousands** in free upgrades!!! Contact listing agent for more details!!! 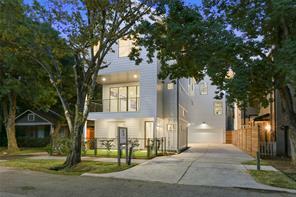 Beautiful recent construction, this freestanding home is conveniently located near the Washington Corridor. 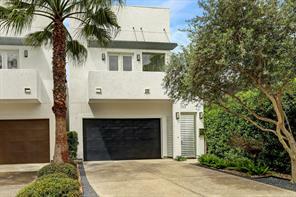 Features 1st floor living & dining w/large island kitchen & spacious, private backyard. Enjoy the over-sized master suite w/attached sitting area, luxurious bath, & spacious closet w/built-in shelving. A large game room adds extra space for entertaining.Custom window coverings throughout & each of the 4 bedrooms has a walk-in closet. Features a 2 car garage, 2 car private driveway & ample street parking; a huge bonus for the area. 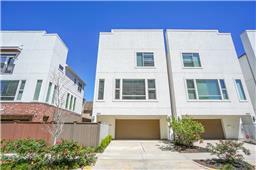 This stunning recently constructed contemporary townhome will not last long w/the list of features it boasts!The highly sought after corner unit is bright &filled w/natural light.You&your pets will enjoy the large side yard&3 balconies to bask in the sun.The 1st floor is unique that it offers space possibilities w/the 18x18 flex room- could be used as a Gameroom, gym,or convert to a 4th BR,OR it makes a great-mother-in-law suite w/ having the ensuite bed&bath.The 2nd floor is the main living w/large kitchen,all Bosch Appliances,& a huge island & coffee nook. The dining rm has a wine grotto/bar & the living rm is wired for surround sound (master too).The 3rd floor has the 2nd en suite guest rm w/13ft' ceiling &patio.The Mstr suite is @opposite end w/coffered ceiling &remarkable marble bathroom w/unique lite dome ceiling.Plus,water softener &filtration system,Pest System,Smart Security System,LED lighting &NO HOA. Walking distance to new HEB, the park,pubs & dining options.Did Not Flood! 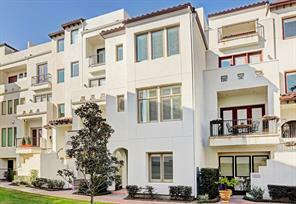 Located in the highly desirable Rice Military area, this luxury townhome designed by Keystone Metropolitan exemplifies city living at its finest. The thoughtfully-designed interior includes hardwood and porcelain tile flooring, game room with a wet bar, and gourmet island kitchen featuring granite countertops, glass backsplash, under cabinet lighting, top-of-the-line Jenn-Air stainless steel appliances, and a Frigidaire wine cooler. Property also boasts a private fenced backyard and rooftop terrace with stunning Downtown views. The spacious master suite is comprised of his and her walk-in closets, dual vanities, large tub, and frameless shower. Within walking distance to Memorial Park, as well a short drive to the River Oaks Shopping District, Downtown, and Texas Medical Center. 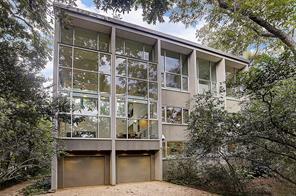 Surrounded by The Heights, Montrose, River Oaks, and Downtown, this home’s location is unmatched. Sophisticated and relaxing, the extremely private community of Caceres is inspired by towering, whitewashed "Pueblos Blancos" and offers a refined lock & leave lifestyle in the heart of the city. 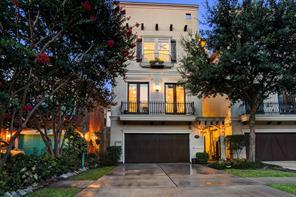 The 3 bedroom, 3.5 bath home boasts endless amenities, high-end finishes and distinct European touches. The stunning interiors boast delightful stone flooring, plantation shutters, gleaming hardwood floors, soaring high ceilings, double crown molding throughout and so much more! The open concept second floor living and dining is perfect for entertaining, and the gourmet kitchen with balcony is an owners dream! Master suite features a sitting area, impeccable spa like bath and boutique style dressing room. Secondary bedrooms all offer ensuite baths and walk-in closets with custom built-in storage. Elevator equipped servicing all 4 floors, rooftop terrace, private driveway and unique location within the community featuring a lush green space! This special retreat of a home is truly a must see! This spacious freestanding home has more than 2,300 square feet featuring 4 bedrooms and 3.5 baths. The 2nd floor features an open concept living, kitchen, and dining space providing a great space for entertaining guests. The island kitchen is finished with a beautiful Blanc Du Blanc Quartzite countertop, Thermador appliances, soft close cabinets, and a wine fridge, perfect for any chef! The luxurious master suite features a large closet and attached is a beautifully tiled master bathroom with a semi-frameless shower, a drop-in tub, and dual sinks. This home also features a beautiful roof terrace with pergola top and gas line perfect for adding a grill. This location provides you with easy access to Heights Boulevard, Shepherd and Memorial Drive. Close to some of Rice Military’s favorite restaurants such as El Tiempo, Laurenzo’s, and the Dunlavy. Also walking distance to the Washington Avenue Entertainment District, Spotts Park, and Buffalo Bayou bike and hike trails. 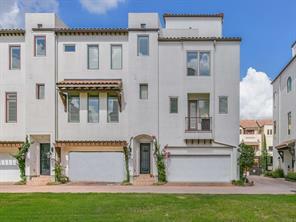 This stunning 4-story, 3 bed 4.5 bath home is a true once in a lifetime find! After ascending to the 2nd floor you are greeted by a gorgeous gourmet island kitchen equipped with granite counters, tile backsplash & stainless steel Jenn Air appliances! Just past the kitchen is a beautiful family room that is pre-wired for surround sound & features hardwood flooring & its own private balcony! In the evenings, withdraw to the spacious 3rd floor master suite complete with walk-in his/hers closets, a wall of windows with plantation shutters & a luxurious bathroom showcasing double vanities, tile floors, custom cabinets, a garden soaking tub & a tiled walk-in shower! Secondary bedrooms located on 1st & 3rd floors! The 4th floor houses a giant game room with a wet-bar, a full bathroom & twin French doors granting access to a private rooftop terrace with a sweeping view of Downtown Houston! The home also has a private backyard with a tiled patio & faux grass for easy upkeep! Don't miss out! BREATH-TAKING. You must see this to believe it. This place just has a comfortable feel to it. It just has a relaxing quality to it.Put this listing at the top of your ''must see'' list! Home that has it all. If you have been looking for something that is exceptional but comfortable, your search may have ended! Fabulous layout. THIS IS A MUST SEE!! 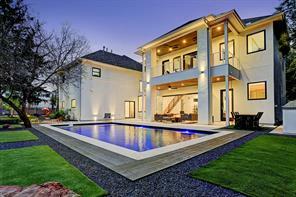 Stunning luxury home in the heart of Rice Military. Hardwood flooring throughout entry, stairs (w/ painted risers), living room, kitchen, and dining. Huge island kitchen with 42" cabinets, granite countertops, breakfast bar, and stainless Jenn-Aire appliances. XXL, light and bright living room with wood floors, dry bar w/ wine fridge, double crown molding, and french doors leading to the balcony. XL Master bedroom with beautiful windows and crown molding. Master bath featuring dual vanities, oversize tub, walk-in shower, and dual closets. The 4th floor features a large gameroom w/ full bath. Huge terrace/covered patio with incredible views of downtown. A short walk or ride from area restaurants and Memorial Park. Don't miss out on this one! 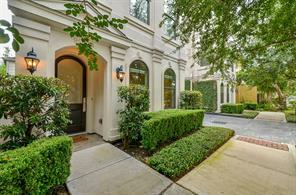 Stunning 4-story masterpiece in Rice Military/Washington Corridor. These Modern Masterpieces feature rooftop terraces to entertain and enjoy with great views of the area. The Interior spaces are composed to provide thoughtful lifestyles flexibility, security, and privacy. Beautiful hardwood floors and elegant finishes. Custom Cabinets throughout and kitchen that is designed for entertaining. Will be fully completed for move in soon. Call today for viewing. Built by MDGI.This soft contemporary patio home features a gourmet kitchen perfect for entertaining.Exposed ceiling trusses in the living area add detail to the modern aesthetic.Plenty of natural lighting and proximity to Memorial Park,River Oaks Shopping Center,The Galleria and the most renowned restaurant and retail stores in Houston.Don't miss your chance to live in one of the most sought after areas in the city! Did not flood and did not have damage from Harvey. 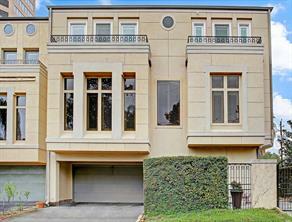 Exceptional home in sought-after Memorial Heights. Subdivision offers private access to Spotts Park, which has a tennis court and volleyball court. 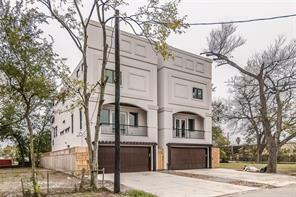 Close to Allen Parkway, Memorial Park, jogging paths, Whole Foods, Downtown and the Medical Center. Idea floor plan with gorgeous outside spa built by Platinum Pools Houston. 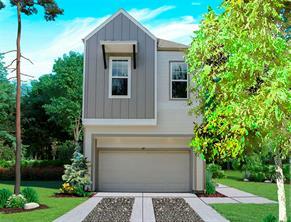 The Memorial Patio Homes development is centrally located in the heart of the Rice Military neighborhood. Just minutes from downtown and the galleria, the community’s proximity to Washington Avenue and I-10 makes Memorial Patio Homes a desirable location to purchase a new home. With more than 2,300 square feet featuring an open layout, 11-foot ceilings in the beautifully designed living and dining room spaces, these Mediterranean-style homes showcase the newest features of design. Each stand-alone unit offers a private driveway for additional guest parking, gated front yard space, and separate entry doors for short-term rental capability. All homes are pre-wired for alarm and surround sound. Each unit includes a roof terrace with gas and water connections. This model also features appliances from Samsung that includes a smart refrigerator, washer and dryer that come with the purchase of this home. 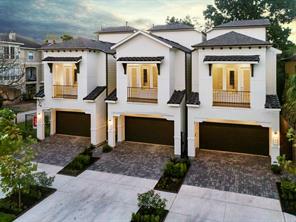 The Memorial Patio Homes development is centrally located in the heart of the Rice Military neighborhood. Just minutes from downtown and the galleria, the community’s proximity to Washington Avenue and I-10 makes Memorial Patio Homes a desirable location to purchase a new home. With more than 2,300 square feet featuring an open layout, 11-foot ceilings in the beautifully designed living and dining room spaces, these Mediterranean-style homes showcase the newest features of design. Each stand-alone unit offers a private driveway for additional guest parking, gated front yard space, and separate entry doors for short-term rental capability. All homes are pre-wired for alarm and surround sound. Each unit includes a roof terrace with gas and water connections. 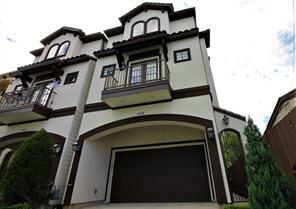 Welcome home and enjoy this gated community w/24-hr guard in the Memorial Heights area. The home did not flood per the seller. Amazing hardwood floors throughout & plantation shutters that allow an abundance of natural light. The ample space of the open concept of the kitchen, dining room, and living room provides an inviting feeling. Enjoy such upgrades like built-in wine fridge, new surround sound through living area and a fresh coat of paint. The master bedroom and bath are a sight to see! Located on the third floor, privacy is a given and the private balcony on the third floor has a view to admire. The master bath closet has space to spare with the custom organization system built-ins. Savor the beautiful landscaping and the controlled access to the home is something everyone can appreciate. Schedule your viewing today and see why everyone is falling in love with this home. Phenomenal Contemporary Home by Tricon. Amazing outdoor yard space with pergola balcony from second level and exterior staircase for easy access. Beautiful finishes inside, hardwood flooring throughout two top floors, (No Carpet anywhere) and travertine and tile finishes downstairs and bathrooms. Contemporary finishes for all cabinetry and wood work in kitchen and bathrooms. Kitchen features stainless steel appliances including a wine fridge. 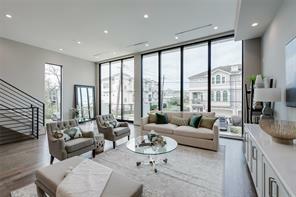 Oversized windows allow for lots of natural lighting, and of course great open concept floor plan for entertaining. Second floor balcony with views out to back yard space. Great location that has never flooded, is less than 10 minutes to downtown, has a private driveway, and is move in ready! In the heart of Rice Military, this beautiful home is a short walk away from parks, restaurants, & much more. The rooftop terrace with skyline views is perfect for grilling and relaxing. A large kitchen with over-sized island has a Thermador gas range, marble countertops, and breakfast bar seating. This opens up to the dining + family room, which includes gas fireplace and a marble wet bar with a built-in wine chiller. Large windows fill the home with natural light bearing Hunter Douglas wood plantation shutters / shades. The second bedroom along with the Master bedroom are located on the third floor. In the master bath, you will find a deep soaking tub, frameless shower, and large custom closet by California Closets. The home has plenty of storage including the over-sized garage. 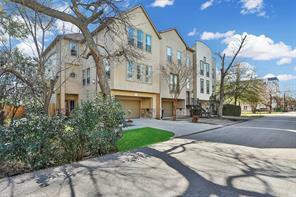 Only minutes from Downtown, Galleria, & Memorial park, this location is hard to beat. 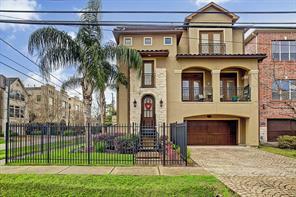 Experience the heart of Houston city life at its best in this gorgeous home. Rice Millitary Townhome. New solid oak Hardwood floors throughout 1st and 2nd floor. Stainless appliances. Great floor plan : Kitchen, Dining, Living Room on the 1st floor. Three bedrooms, Laundry and Study on the second floor. Huge Gameroom/Media room on the third floor with Full bath. 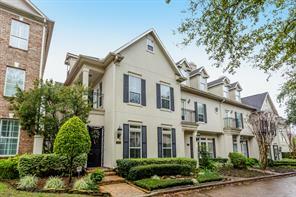 Great Location - Minutes from Downtown, Galleria, Memorial Park, and Med Center. Large master bedroom and Master closet. Must see to appreciate. Amazingly updated & well maintained three story home in the quiet & secluded neighborhood of Rava Square! Upon entering you're greeted by a grand entry w/ soaring ceilings and a bright atmosphere. Spacious family room, & HUGE windows full of natural light! Gourmet Island Kitchen w/ breakfast bar, granite countertop, stainless steel appliances, & plenty of cabinet space! Large Master on the top w/ upgraded flooring. Master Bathroom will blow you away! Updated vanities, custom lighting & tiling throughout, jetted tub, walk-in shower, & large closet perfect for any size wardrobe! 3,950 sqft lot! 4 beds, 3/1 baths, 2 car garage & this is the only unit that has an additional 3 parking space adjacent to the unit. Priced to sell - this home will not last long! 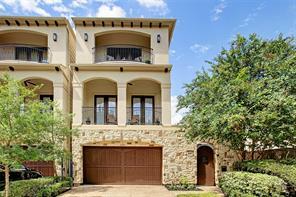 Live just minutes away from Memorial Park, Allen Parkway & Downtown Houston in this gorgeous Tuscan style home! Your exterior is a perfect combination of stucco & imported canterra stone. When you enter, you are greeted by a dramatic foyer with custom iron staircases. The first floor has a separate flex space that can be used for media or secondary living room. You also have a secondary bedroom with a full bath & walk in closet. Your second floor is an open concept floor plan with 2 separate balconies. All of your appliances are upgraded Jenn Air appliances, as well as a wine fridge. There is also a secondary bedroom on the second floor with a full bath. Third floor features the master suite. 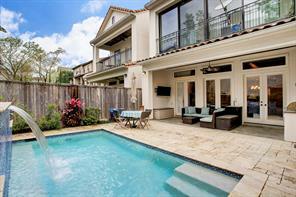 There is a private terrace, separate study, elegant master bath with jacuzzi tub & rain shower. This home features 10'-11' ceilings throughout, state of the art home automation system, audio system throughout the home, Leviton dimmer package, the latest pest defense system, and so much more! From award-winning homebuilder, ROC Homes, this new construction freestanding 2-story home features a rare “1st-floor Lifestyle” with a private driveway in the heart of the city. A patio home perfect for entertaining with a completely open layout. Our oversized guest bedrooms discreetly separated from the master suite by a multi-purpose loft area. Located in SOUTH Rice Military, this home sits on a quiet tree-lined street just a few steps from the Memorial Hike & Bike trail. 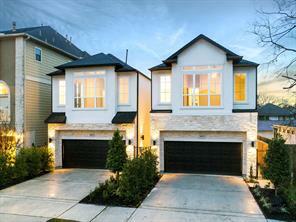 MODERN AND LUXURIOUS 3 BEDROOM /3.5 BATH FREESTANDING HOME ON QUIET STREET ACROSS A PUBLIC PARK. HIGH-END FINISHES THROUGHOUT THE INTERIOR INCLUDING BOSCH STAINLESS STEEL APPLIANCES AND REFRIGERATOR, WOOD FLOORING THROUGHOUT, GRANITE COUNTERTOPS, DECORATIVE TILING, AND MODERN PLUMBING AND LIGHTING FIXTURES. ENJOY THE AIR-CONDITIONED SUNROOM, THE FULLY EQUIPPED SUMMER KITCHEN, AND THE EASILY MAINTAINABLE TILED BACKYARD. 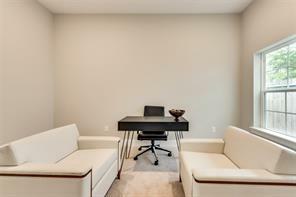 LARGE 1ST FLOOR ROOM CAN BE UTILIZED AS AN OFFICE, DEN, MEDIA ROOM OR BEDROOM. UNBEATABLE INNER LOOP LOCATION WITH FEW NEIGHBORS, AMPLE GUEST PARKING, AND WALKING DISTANCE TO BUFFALO BAYOU TRAILS, SHOPPING, AND RESTAURANTS. NO Harvey Flooding. Sophisticated, impeccably maintained home in the heart of Bayou Bend area. Three generously sized bedrooms and three and a half baths feature high ceilings, crown molding, plantation shutters and wood or marble floors throughout. The second floor main living area encompasses both formals plus an open plan living/dining room with a granite island kitchen and Thermador, Whirlpool and KitchenAid stainless appliances. The first floor includes a guest bedroom with an ensuite bathroom and a 12’ X 8’ bonus room. Brazilian hardwood flooring (2017) adorns the third level which incorporates a spacious master bedroom with fireplace, walk-in closet and ensuite bath plus jetted tub/walk-in shower. A guest bedroom and bath are also included on the third flr. Abundant natural light throughout the home makes it bright and comfortable in every room. Five-minute walk to Memorial Park golf, tennis and Lieberman exer-trail. Open house this weekend. 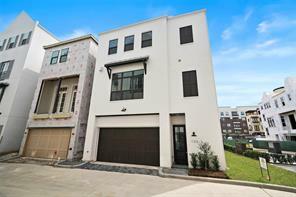 Built by ROC Homes, 1st Floor Lifestyle since 2002 in Houston BEST urban neighborhoods! This home is designed for entertaining with a 10'x5' island and the entire kitchen, dining and family rooms open to each other with 10' ceilings that's a true "1st Floor Lifestyle" home! Also, a major plus is the MUDROOM off of the garage, next to the kitchen and the huge WALK-IN pantry and 'Costco-sized' storage under the stairs. Secondary bedrooms are spacious. NO HOA Fees, NO Maintenance Fees. 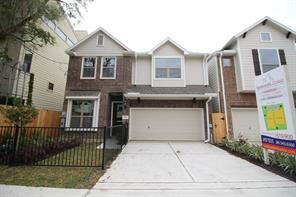 Included Features are granite counter tops, custom cabinets, BOSCH Stainless Steel Appliances. Custom Tile and Hardwood Flooring. YOU CANNOT MISS THIS HOME! WELCOME HOME! 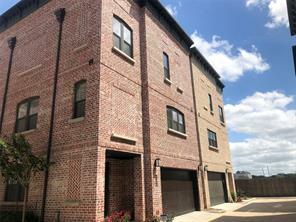 Beautiful 4 bedroom / 3 ½ bath townhome with full first floor living, hardwood floors and lots of natural light. This unique open floor plan is ideal for relaxing or entertaining friends and family. The second floor master bedroom features a gas log fireplace, coffee bar with mini-fridge and a generous balcony, just perfect for sipping your morning coffee. The master bath has a separate six-foot jacuzzi tub, shower, and double vanity. The third floor features a second living area wired for theatre, a full bath and a fourth bedroom which makes a great home office. The water feature in the tranquil courtyard creates the ideal space for afternoon relaxation. 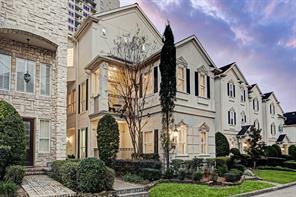 Located on a quiet street with short drives to downtown, Memorial Park, River Oaks and the Galleria, this home also features high ceilings and plentiful custom niches for your favorite art, This is a must see! 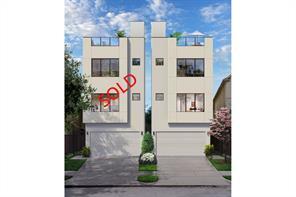 Replatted in to two 2,500 sf lots in Rice Military! Close to Washington Corridor, Memorial Park, Downtown, and much more. Meticulously maintained and upgraded to a higher standard featuring solid oak plank flooring, Carrara Marble countertops, Restoration Hardware lighting/mirrors, Brookhurst/Woodmode soft close cabinetry, Jenn-Air French Door Refrigerator, SS Thermador 36" Pro-Style gas range, walk-in pantry, sunken living/dining area, 10'-12' ceilings throughout with gorgeous wide crown molding, designer wall and cabinetry colors and Hunter Douglas Duette Honeycomb shades! Dry bar with Jenn-Air wine chiller creates entertaining ease. Oversized master with custom lighting and black-out drapery includes master bath retreat with double sinks, dual extra-large shower, walk-in closet with built-ins and marble throughout. Second floor bedroom windows have roll down blackout shades with HD Duette. 3rd floor laundry room includes cabinetry and hanging racks. Front green space has Natrahedge trellises for privacy, professional landscaping, water-less low maintenance realistic artificial grass lawn/flower beds. Beautifully maintained and extensively updated 4 bedroom, 4 bath Mediterranean style home in sought after Rice Military now available. Large open-concept living area is perfect for entertaining in addition to a second floor walk out balcony. Sleek modern kitchen with updated accent wall, oversized island, quartz counters and gas range. Bamboo hardwood flooring and high ceilings thoughout. Serene master retreat w his & hers walk-in closets. Luxurious master bath w marble-tiled shower & freestanding tub. 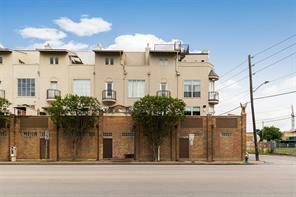 Prime location, walking distance to restaurants, Spotts Park, Buffalo Bayou trails and thriving Washington Ave. Centrally located to Memorial Park, Downtown, Med Center, Museum District & The Galleria. Hard to find 4 bedroom home with a front private courtyard, beautiful tile roof, updated bathrooms. Too many features to list. Make an appointment to view today, these Casitas do not come up often! 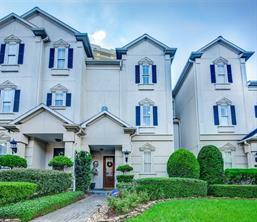 This beautiful 4 bedroom 3.5 bath townhouse is an amazing find. When you pull up to the subdivision you are welcomed by a friendly Security Guard at the gate. Upon entering the home you are greeted by a large open concept family and formal dinning room. The spacious family room is a great place to kick back after a long day & features hardwood flooring, a cozy fireplace & large windows with lots of natural light. The floor plan makes for a wonderful flow when entertaining! Creating your favorite meals is a true delight in the beautiful kitchen equipped with wood flooring a tile back splash, granite counter tops, stainless steel appliances & under cabinet lighting! At the end of the day, withdraw to the upstairs master suite complete with two closets, a balcony & a luxurious bathroom that showcases double sinks, tile flooring, a tub & a separate walk-in shower! The 3rd floor can be used as the 4th bedroom or it could be one killer game room/media room! Beautiful three story detached single family home built by Tricon located in the heart of Rice Military with heated pool. Get the benefits of being centrally located and just minutes away from Memorial Park, River Oaks, The Heights and Downtown. Upon entering, you will find a first floor guest suite with en-suite bath with French patio doors leading to the pool and covered patio where all of your outdoor furniture will rest comfortably. The second floor offers a very spacious open floor concept with an abundance of natural light and also has double doors overlooking the pool in the back. The classic contemporary kitchen has gorgeous top of the line stainless steel appliances, beverage cooler, granite countertops, and an island in the center. On the 3rd floor, you have reached the 3rd bedroom with full bath and Master suite with 2 large walk-in closets, double-sinks and a separate whirlpool tub and shower. Home did not flood during Hurricane Harvey. New gated development by Sullivan Brothers Builders in highly sought after Sawyer Heights area. Unobstructed views of the north, just steps away from Trammel Crow Residential's new mixed used development; Alexan Lower Heights. Minutes from downtown, blocks away from I-1O and Washington Avenue. These luxury Brownstones have an industrial design with brick exteriors. Interior features boast real red oakwood floors, soaring ceilings, sound barrier windows, stainless steel appliances, and quartz surfaces with custom tiled backsplashes. Alma floor plan has covered patio off front bedroom that opens up into small yard. Visit the model home at 2905 Hicks. Open house M-F 11-3 Sat & Sun 12-5 an by appointment. 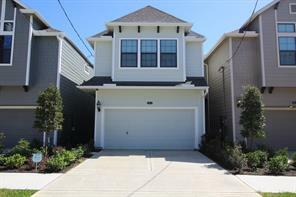 Brand new, 2-story home in Rice Military! The Bordeaux plan includes a large dining, living, and kitchen area; two secondary bedrooms with an adjoining jack-and-jill bathroom; all bedrooms have over-sized walk-in closets & are located upstairs with the game room. Granite or Quartz countertops, Bosch stainless steel appliances, custom cabinetry and luxurious baths are just a few of our standard features! Private driveway and HUGE backyard! Move-in ready April 2019! Beautiful, freestanding home located on a corner lot in the heart of Rice Military. A private, gated courtyard in front includes a heated pool with waterfall features. Light, bright and airy with lots of windows allowing for an abundance of natural light throughout. The 2nd floor has an open floorplan with a balcony. The home is well maintained and ready for new owners. Current owners recently painted, refinished wood floors and installed speakers in ceiling on 2nd floor. Numerous updates were previously done throughout the home: kitchen with custom cabinetry, quartz countertops, stainless steel appliances, new cooktop with a vent hood and designer backsplash; all bathrooms were remodeled - master bath with an oversized shower and freestanding tub; new windows; new carpet and tile. Excellent location near Memorial Park and restaurants. 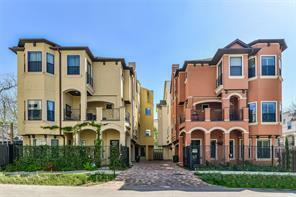 Easy access to Downtown, Buffalo Bayou Hike & Bike Trails, both major airports and highways. 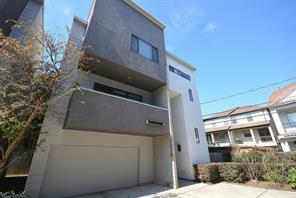 *COMPLETED* EXQUISITE CONTEMPORARY 3 BED, 3.5 BATH WITH ITS OWN PRIVATE DRIVEWAY IN THE SOUGHT-AFTER MILITARY RICE AREA. THIS RAVISHING HOME HAS BEAUTIFUL HARDWOOD FLOORS THROUGHOUT THE ENTIRE 2ND FLOOR AND IN THE 3RD FLOOR HALLWAY. THE STUNNING KITCHEN FEATURES SS BOSCH GAS RANGE STOVE, MICROWAVE, DISHWASHER, WINE BAR, AND MAGNIFICENT ALASKA GRANITE COUNTERTOPS. 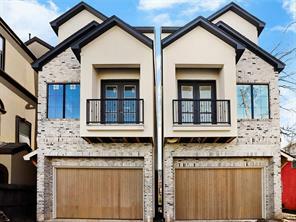 THESE BEAUTIFUL TOWNHOMES ARE ON THE CORNER OF MAXIE AND PATTERSON ST. AND ACROSS THE STREET FROM WEST END PARK. 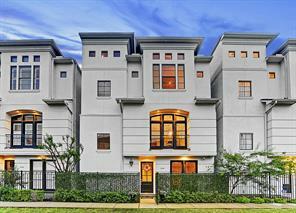 WALKING DISTANCE TO WASHINGTON ST AND JUST MINUTES FROM MEMORIAL PARK, BUFFALO BAYOU, MONTROSE & DOWNTOWN HOUSTON. VERY EASY ACCESS TO I10 & ALL FREEWAYS. 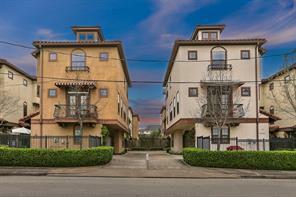 DON'T MISS OUT ON THIS GORGEOUS TOWNHOME!!!! 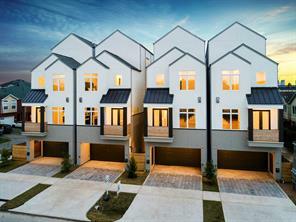 6 TOWNHOMES ARE AVAILABLE ON SITE.